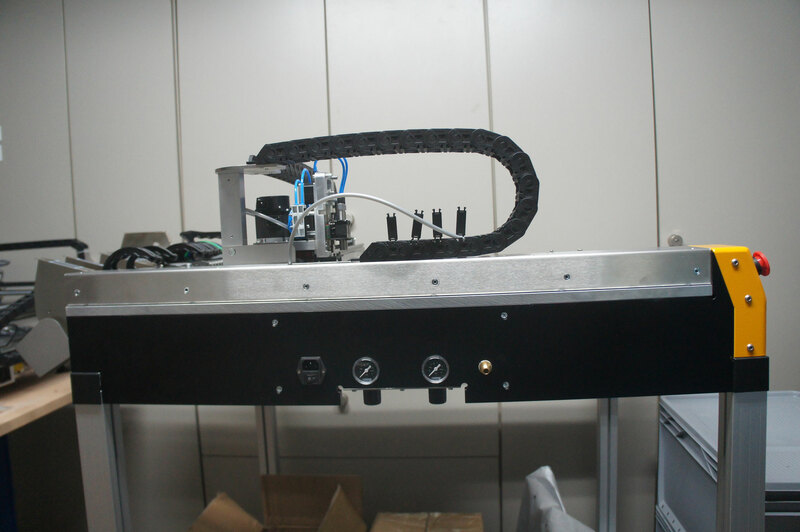 This machine is rock solid, modular, extendable and future safe because you are able to upgrade head unit and add feeder slots after time. 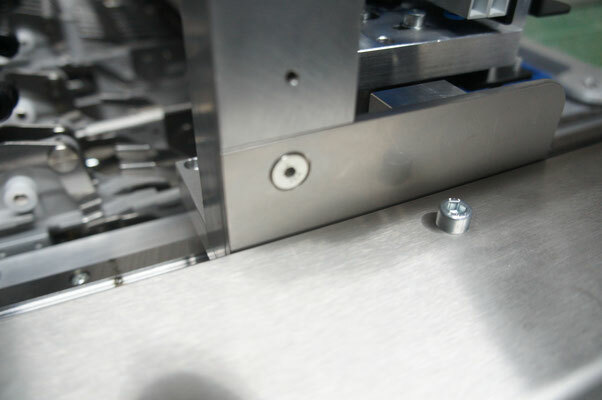 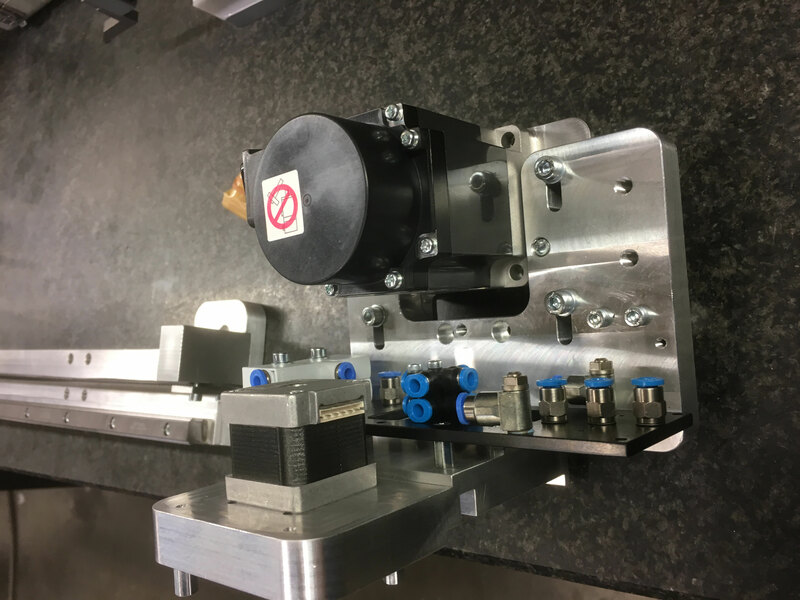 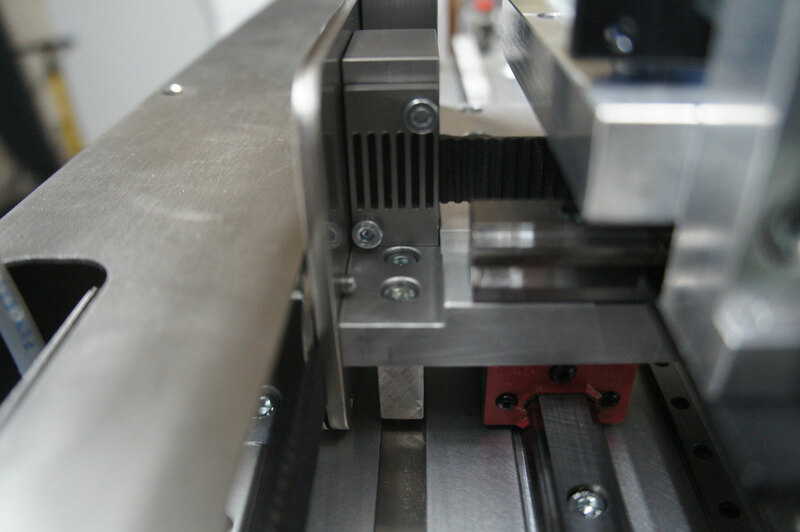 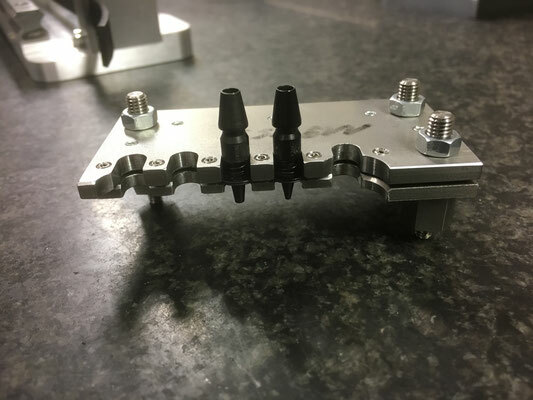 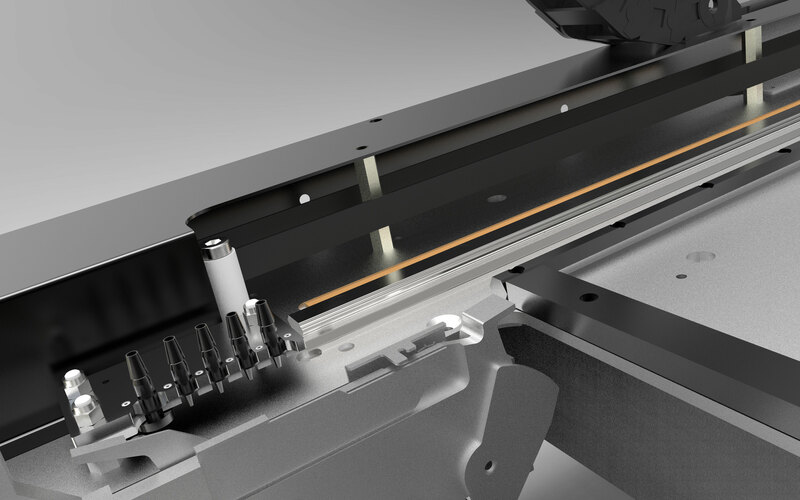 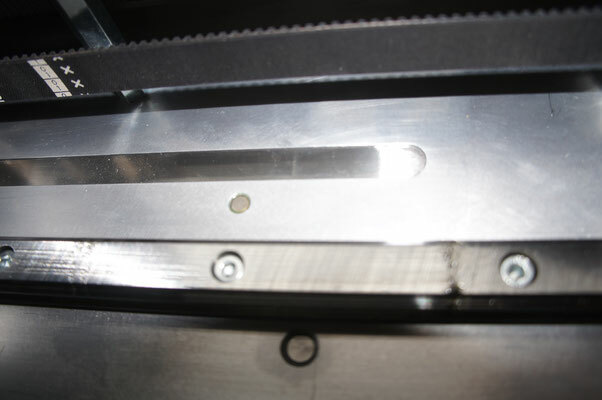 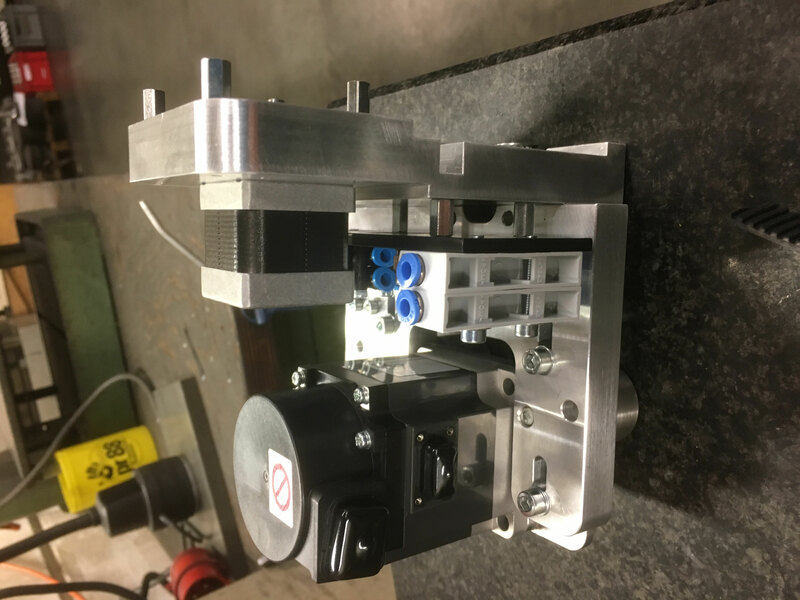 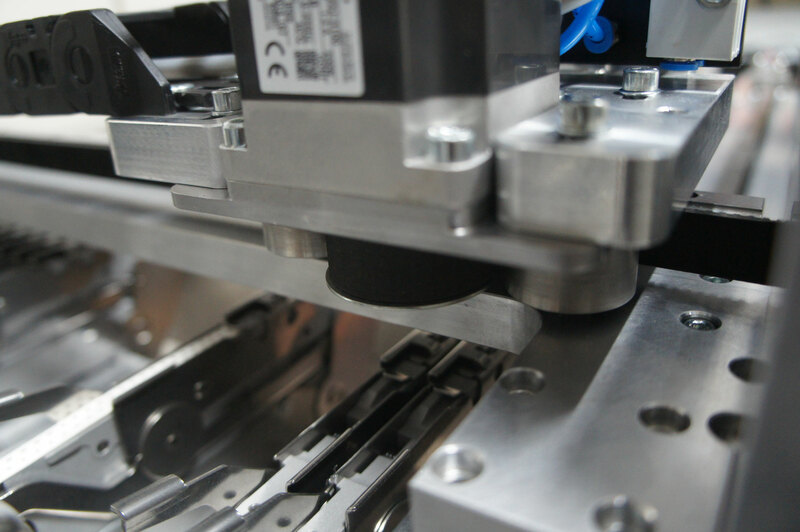 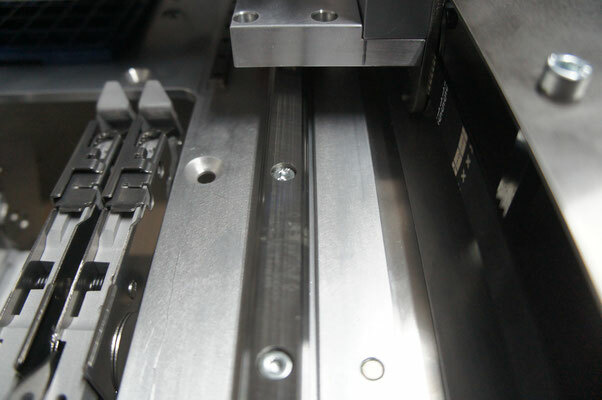 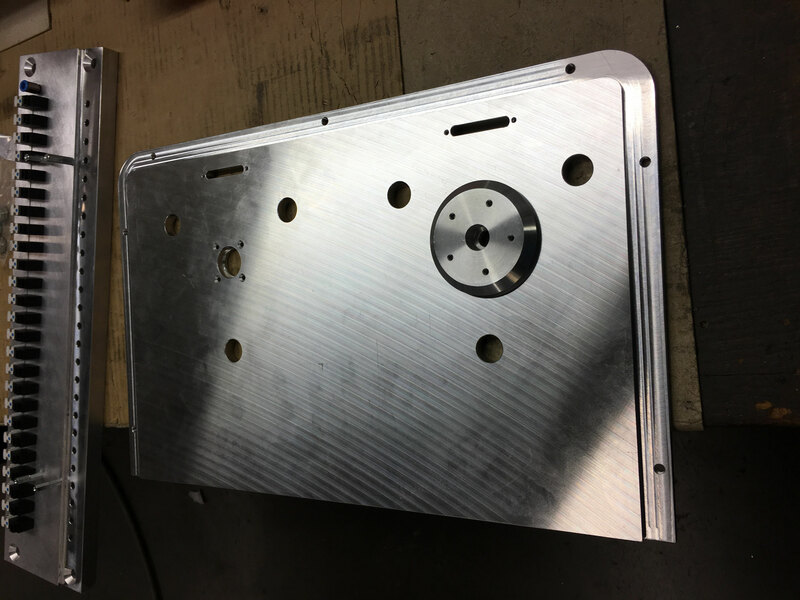 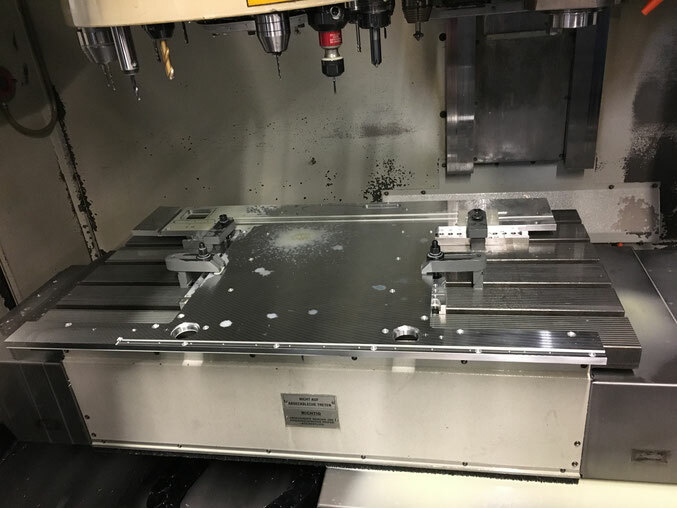 We don't assume the machine head position, we know because of scales on X / Y axis measuring 0.01mm at 0.02mm precision. 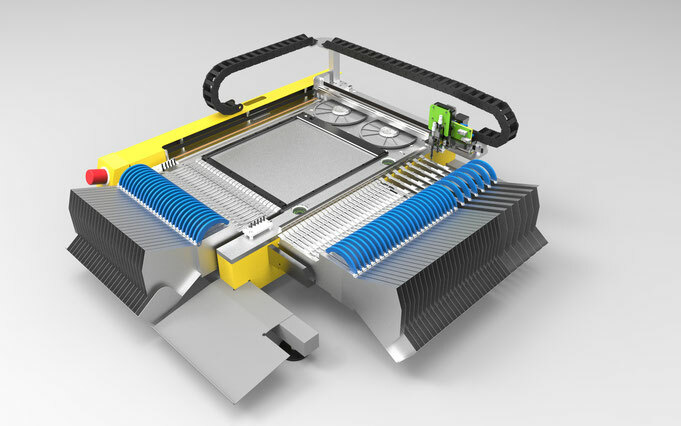 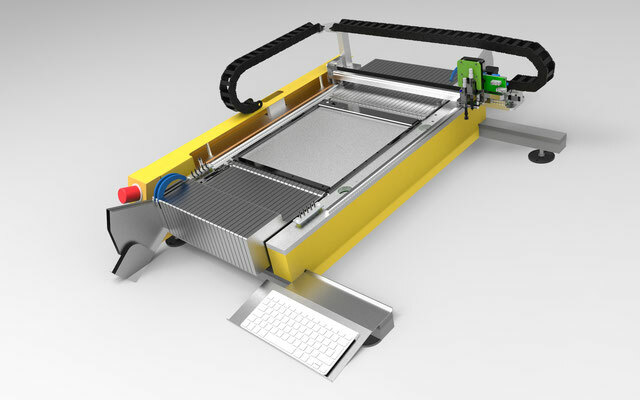 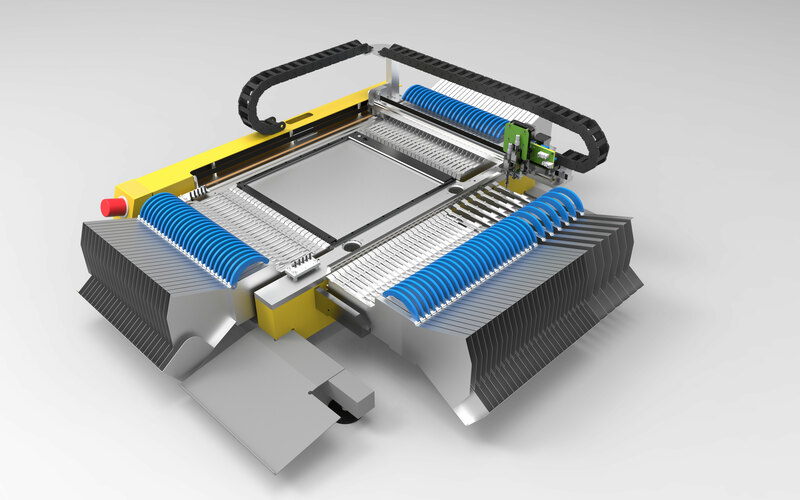 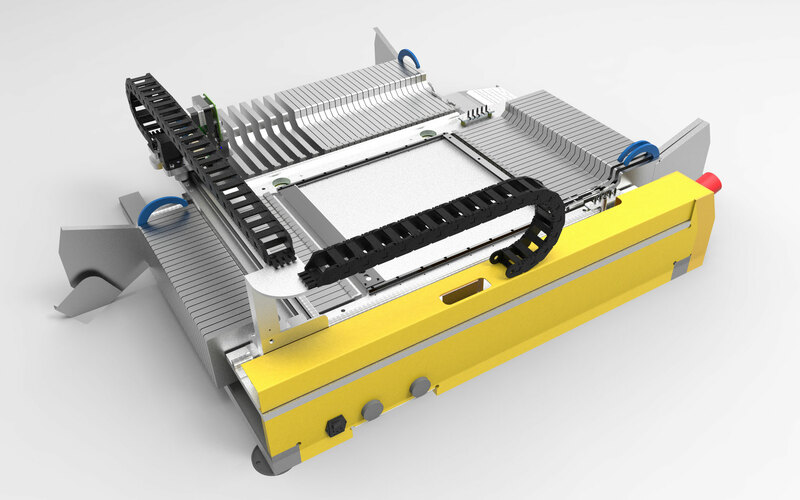 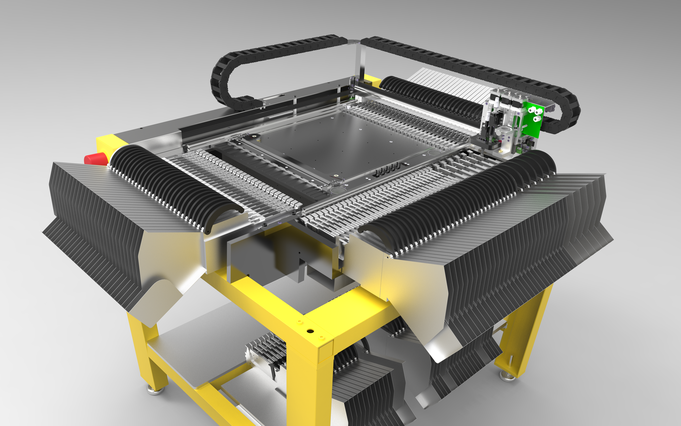 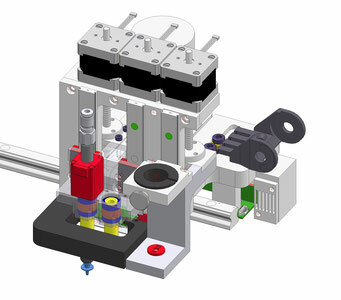 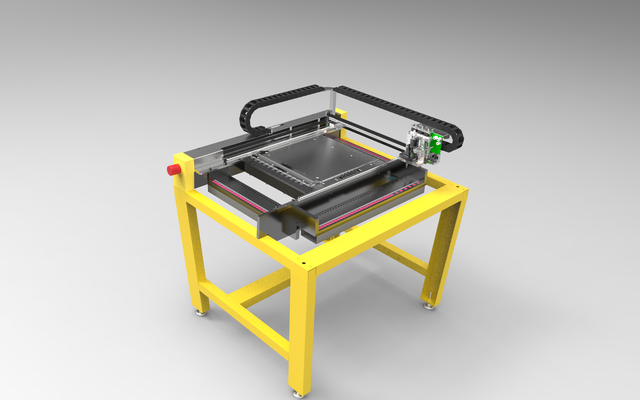 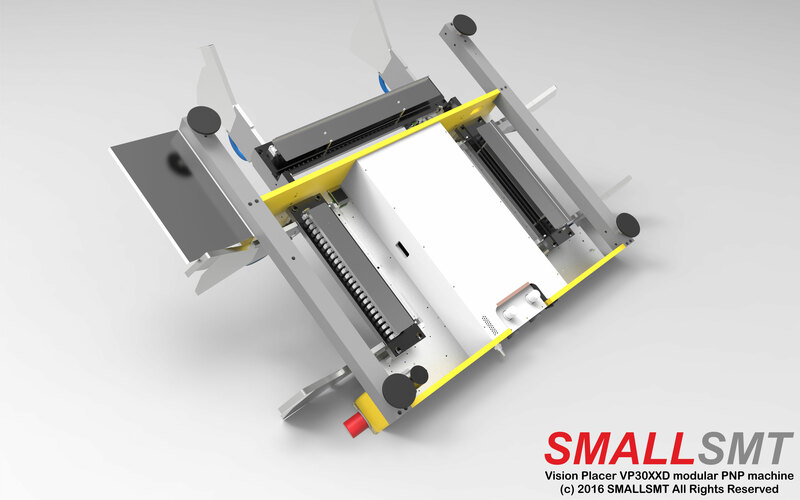 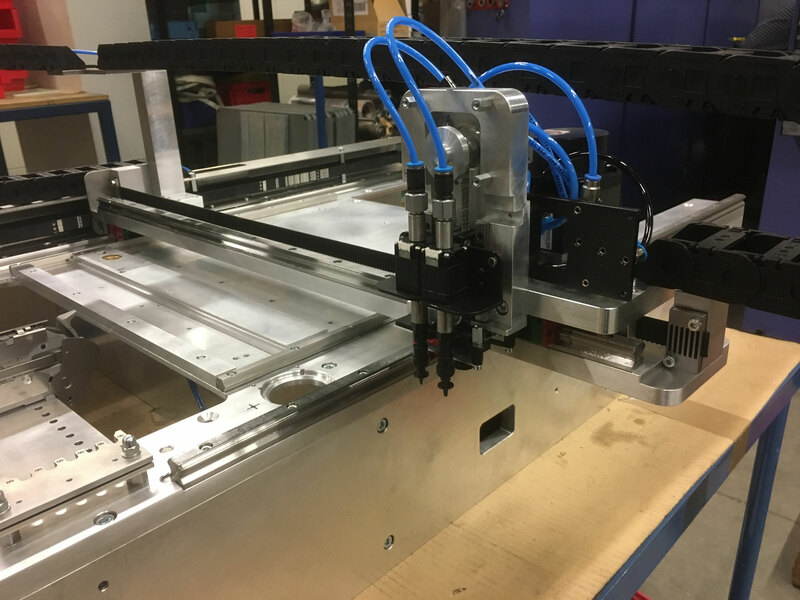 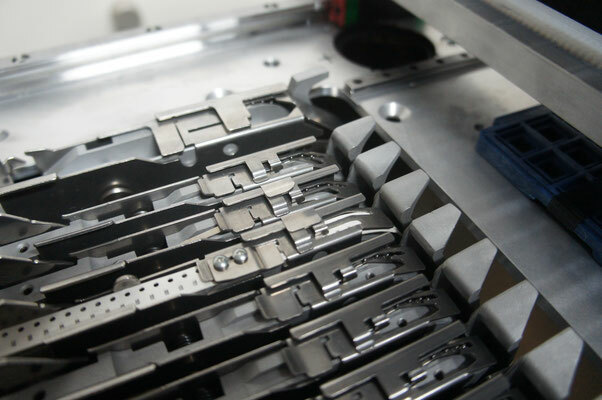 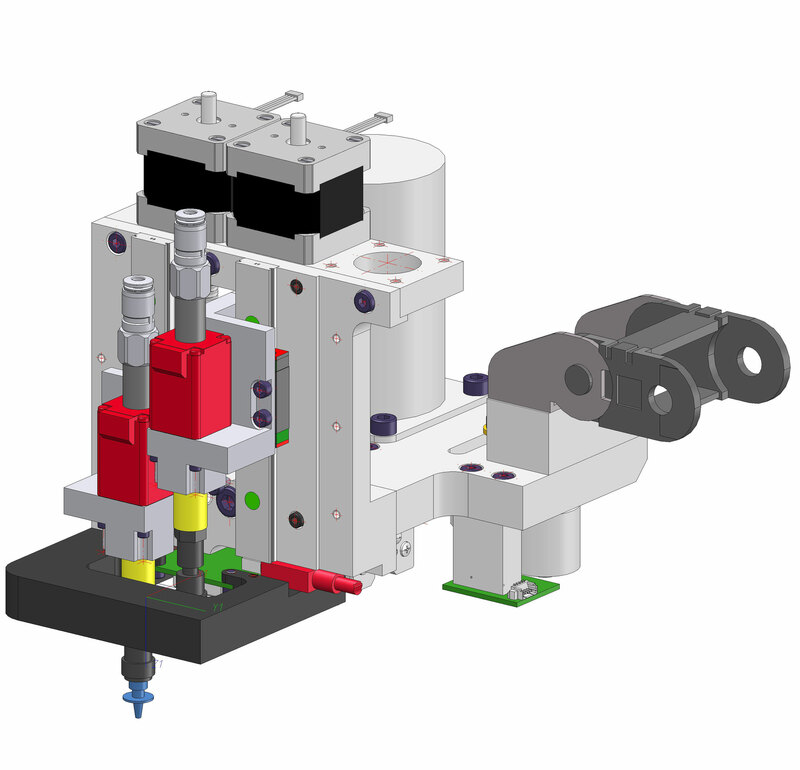 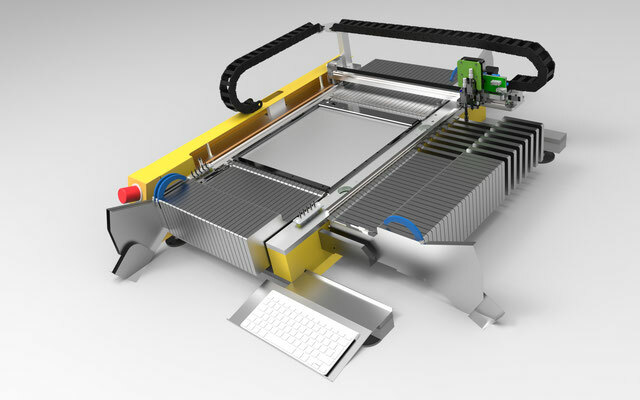 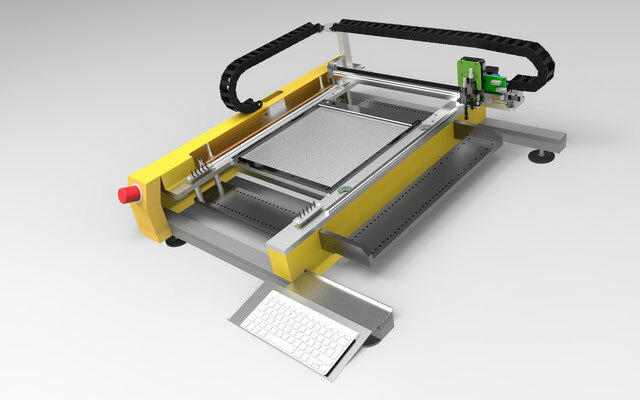 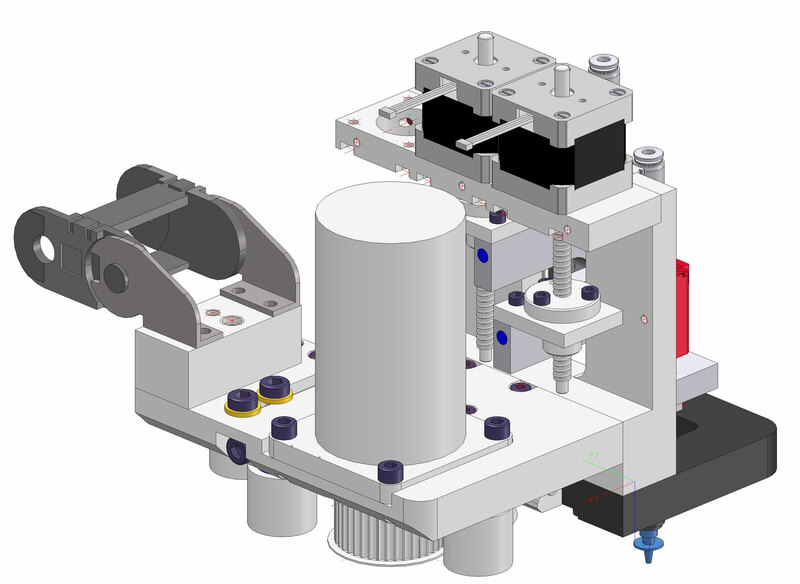 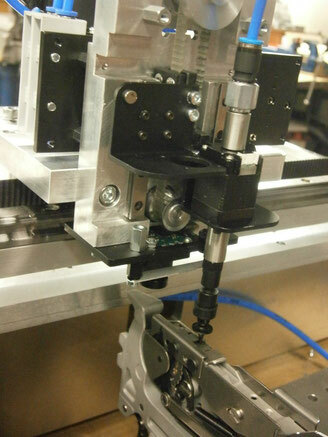 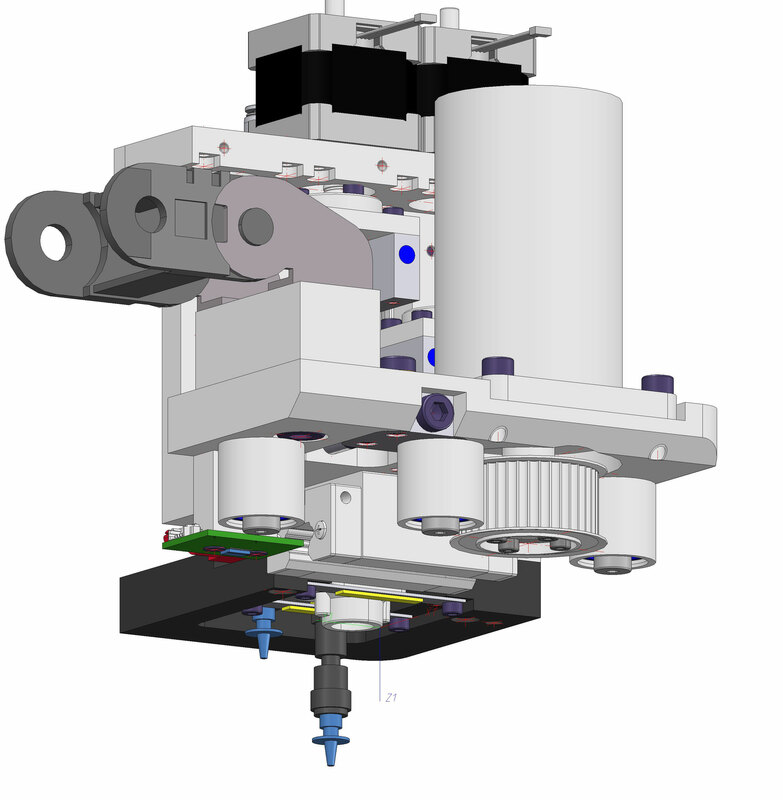 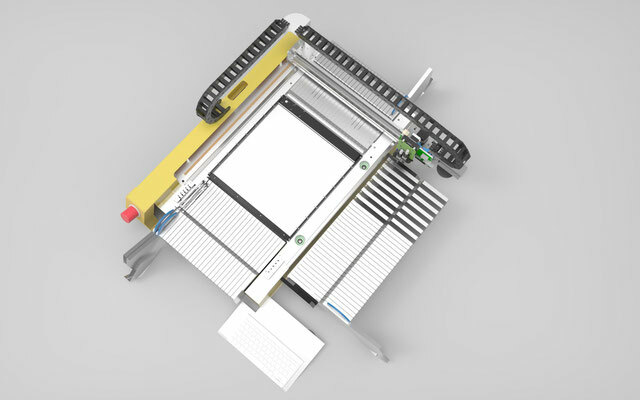 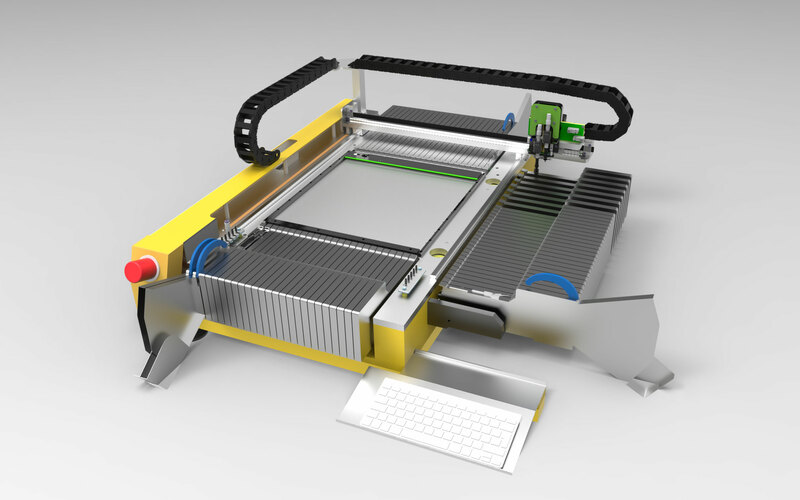 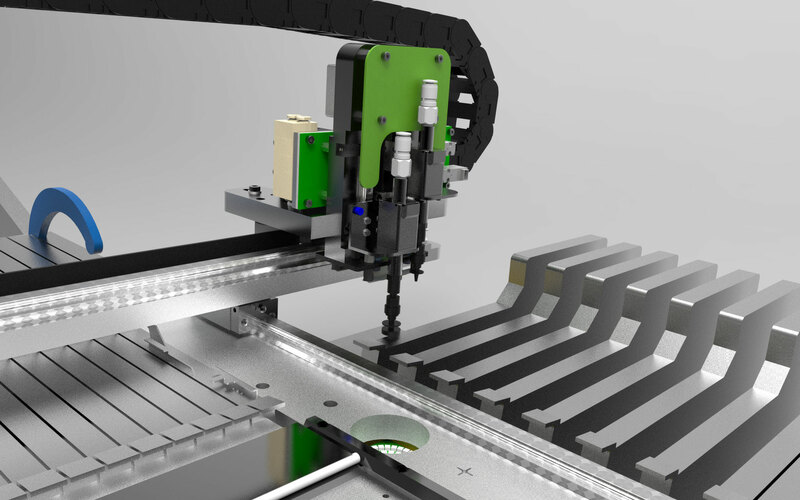 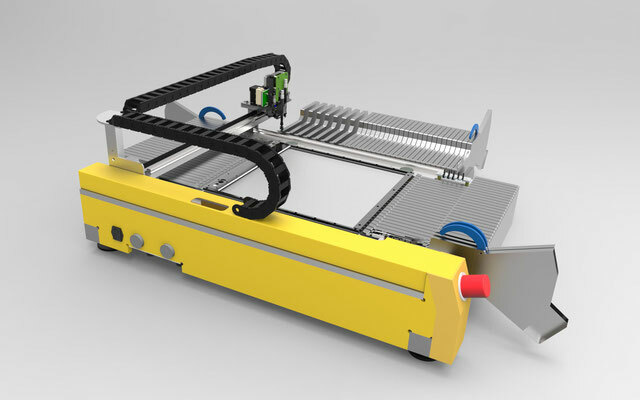 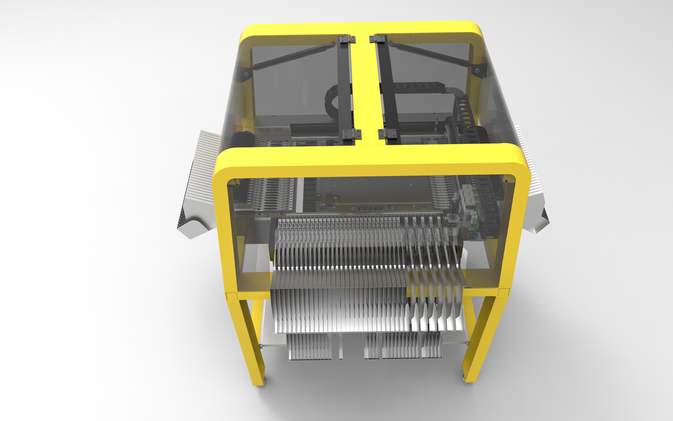 Our Machine is able to place parts on different Z height positions so 3D PCB's are possible for placement. 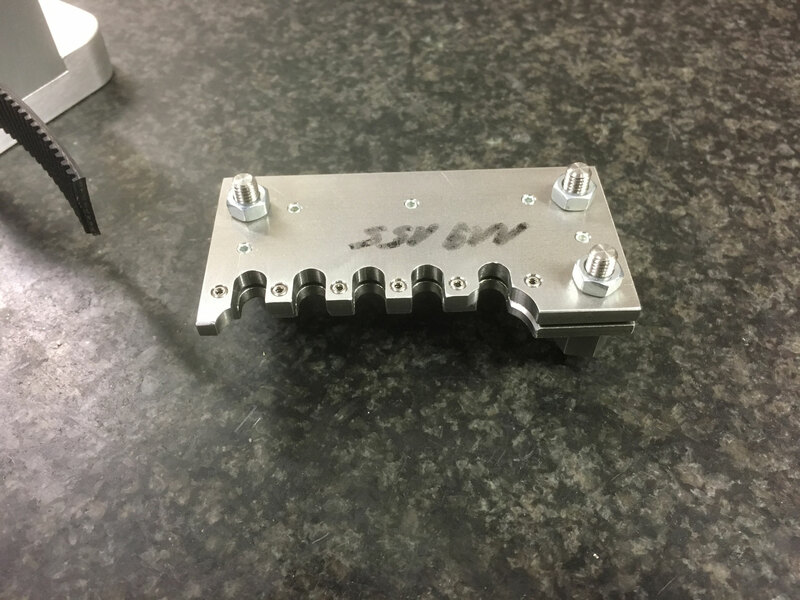 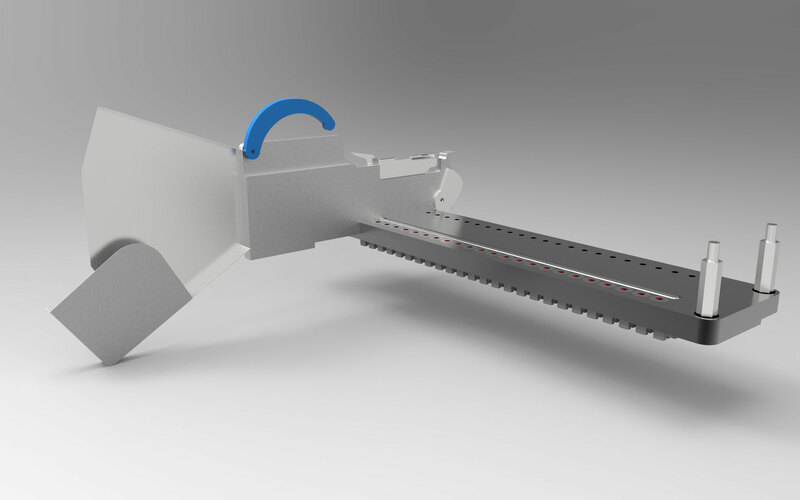 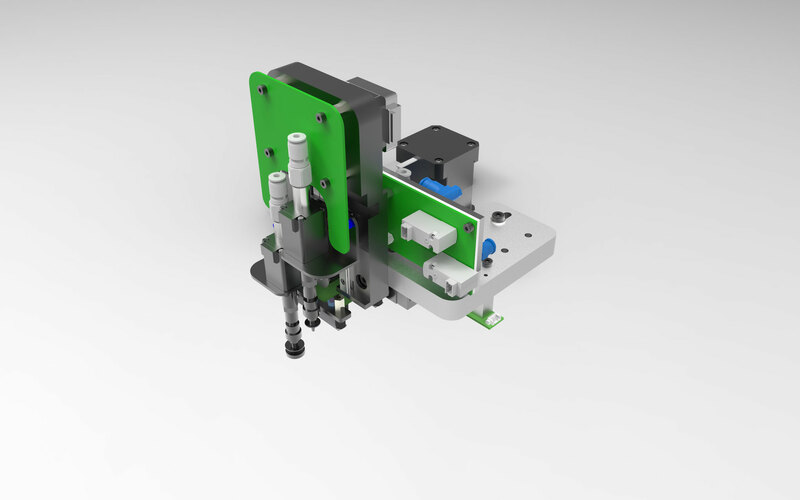 The part range will be from 0201 up to 30x30mm components and Z axis can travel 30mm so tall parts are no problem too. 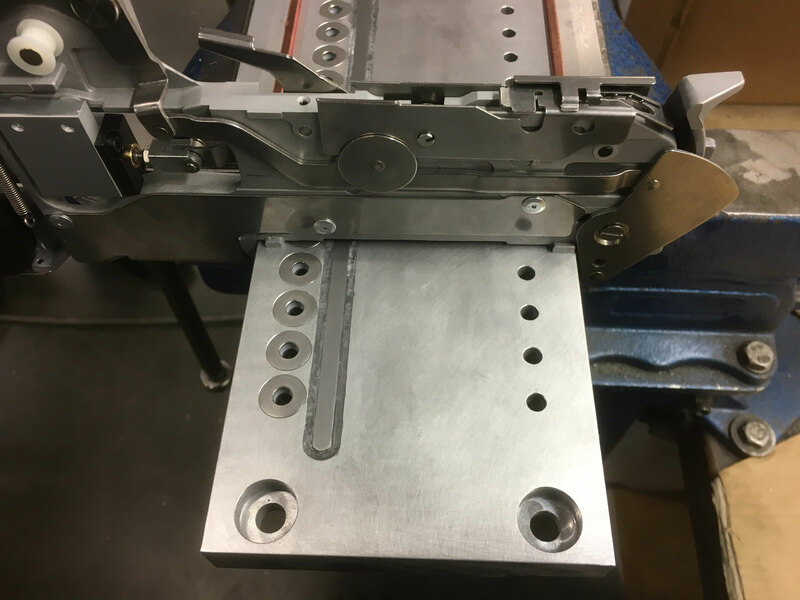 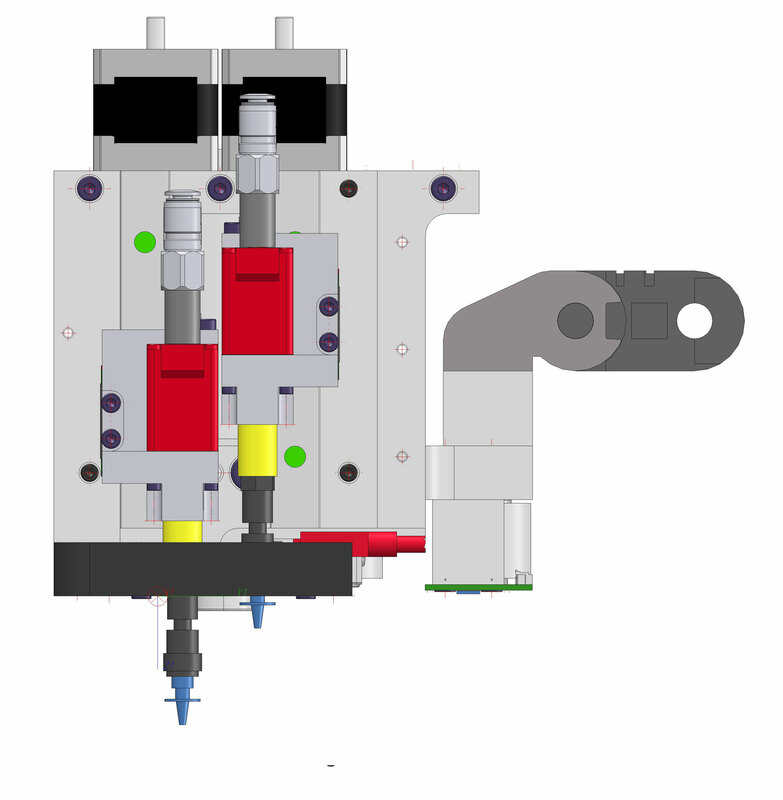 We support anti collision strategy by intelligent head retract mode the machine moves the head origin up when high parts need to be placed. 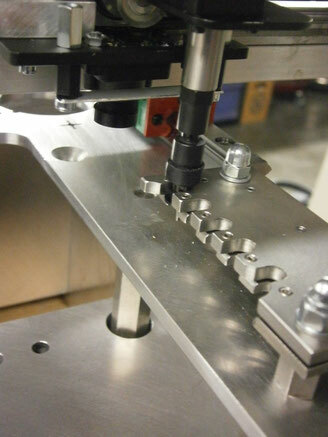 We use part height sorting so it will move up when tall parts where placed before. 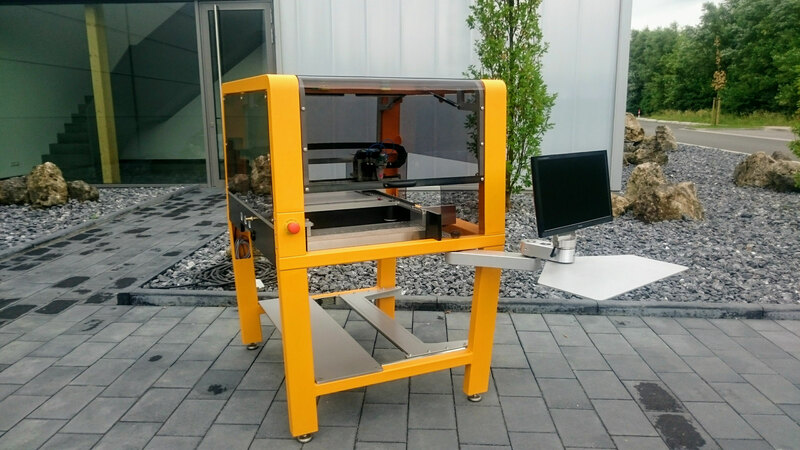 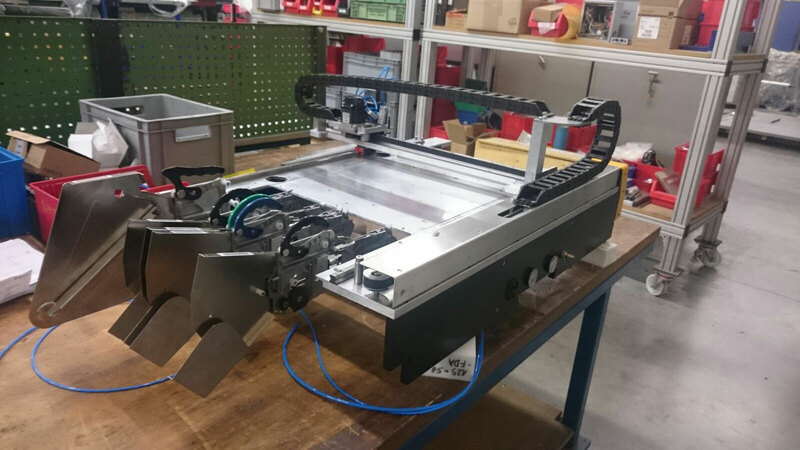 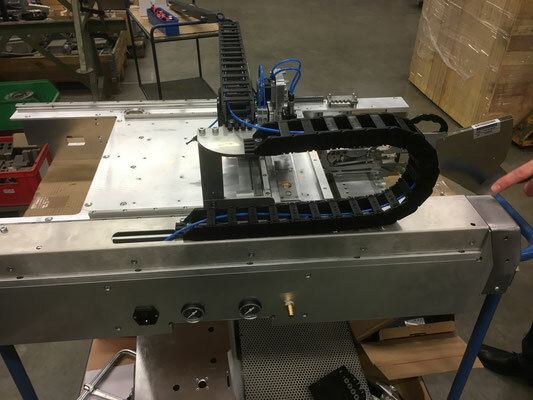 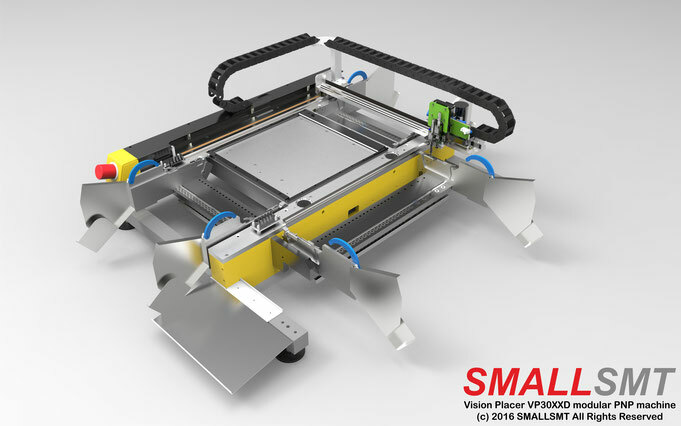 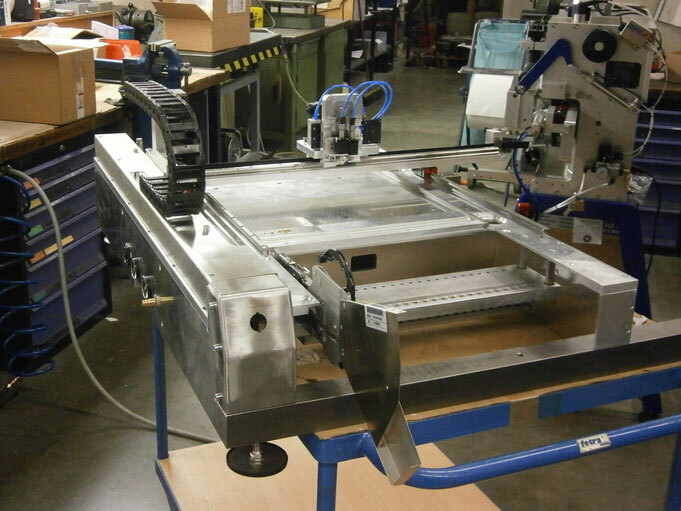 We build and design VP-30XX machines in Germany! 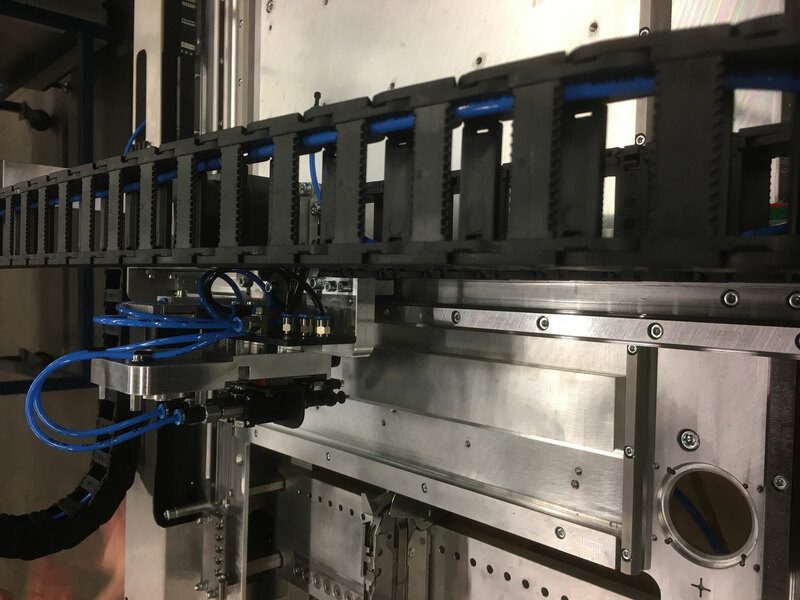 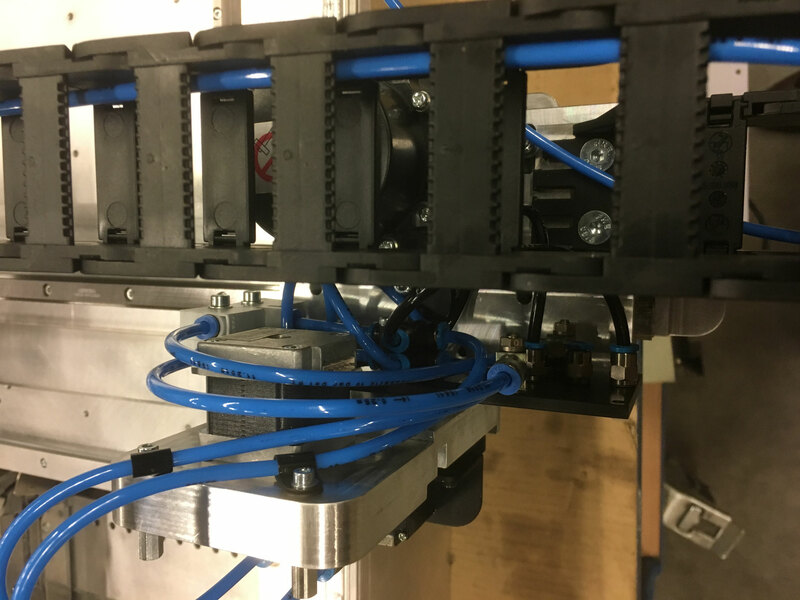 The pneumatic system components are from FESTO, servo system from Mitsubishi, Power supplies from Meanwell, Guide lines from HIWIN. All this components can be bought around the world and replaced. We use CP45 Samsung nozzles. 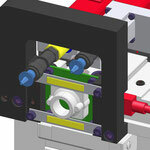 1x 10 slot nozzle changer carts. 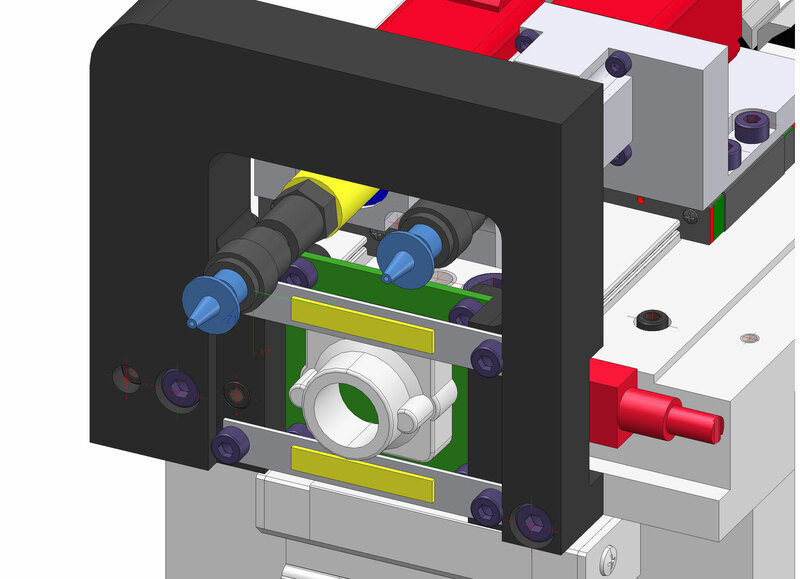 So it's possible to use 10 nozzles in one placement job including the option to use the same nozzle on both heads. 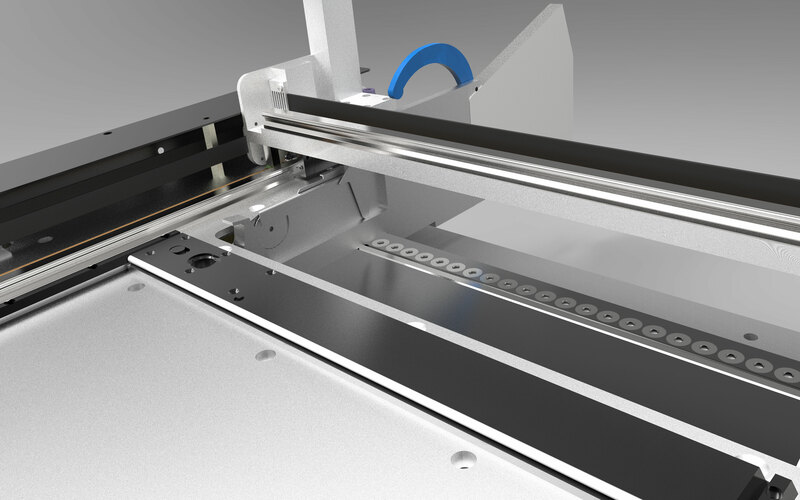 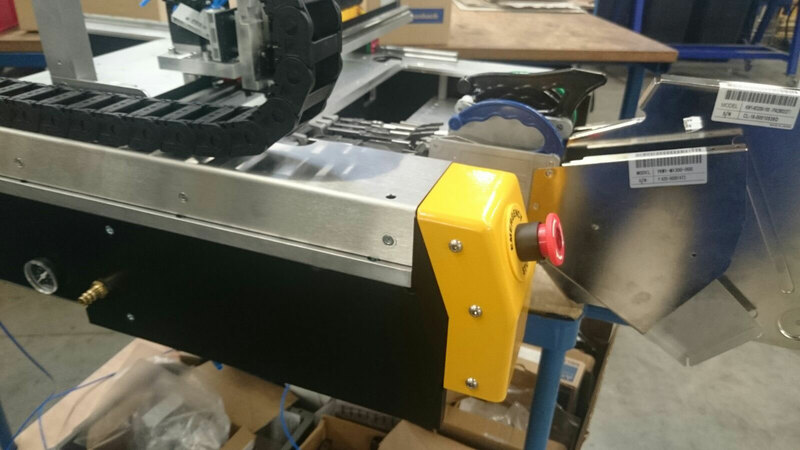 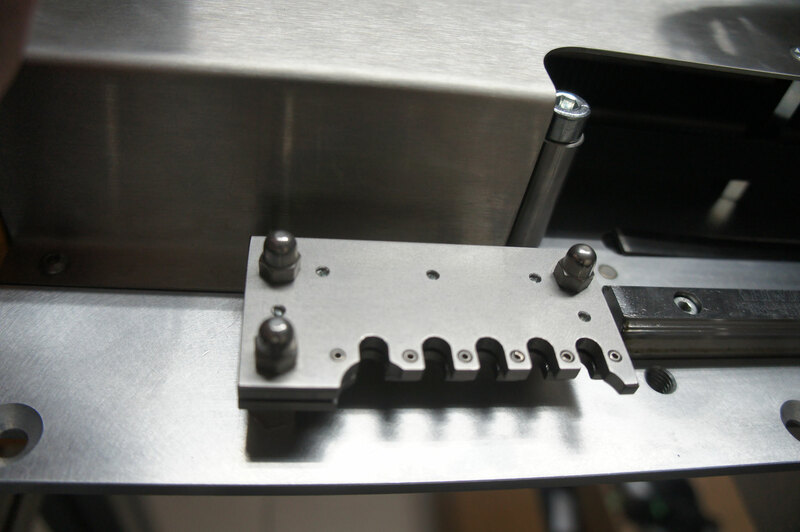 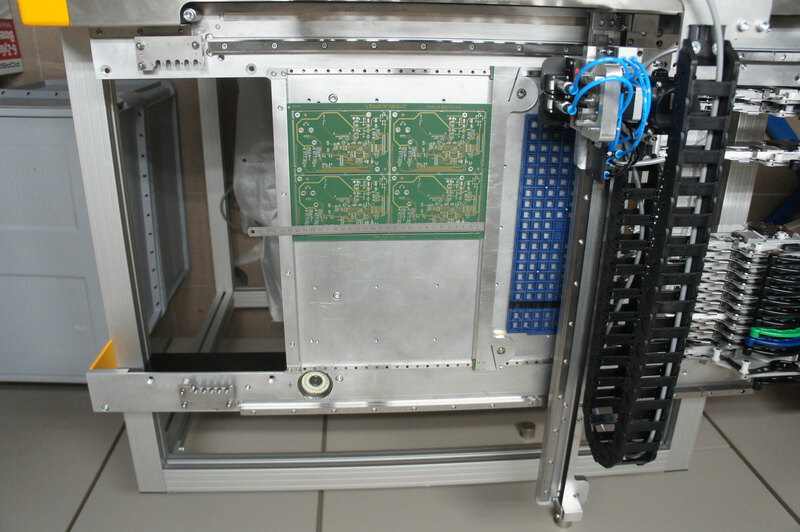 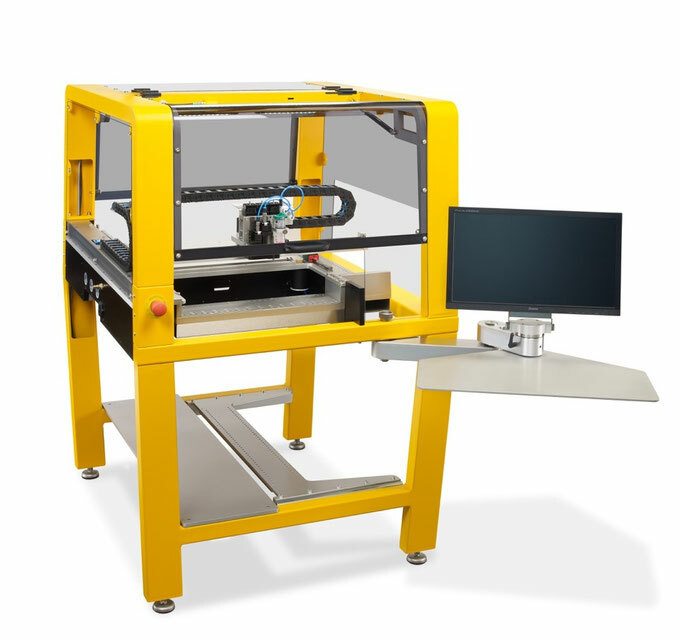 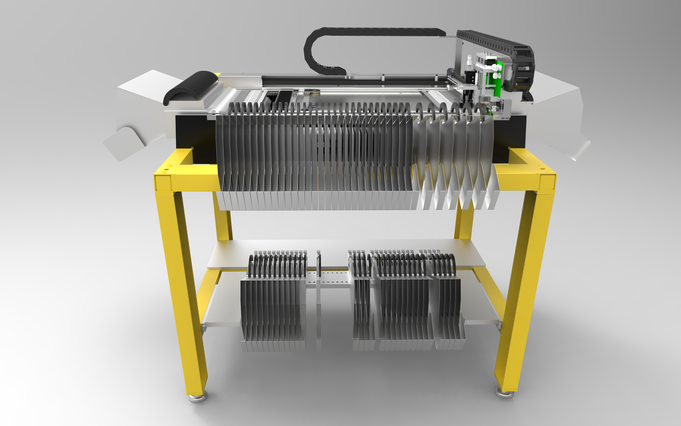 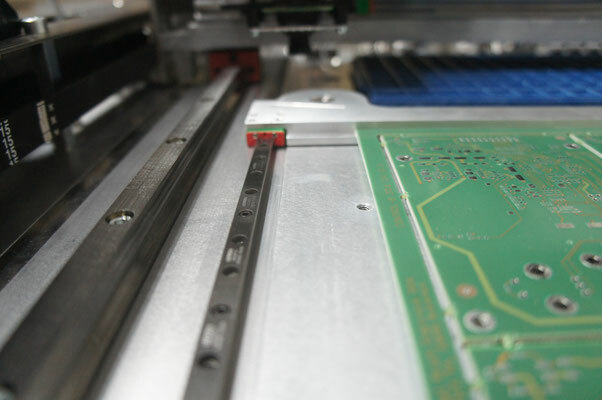 The optional third head can be used independently to apply glue or paste to the PCB. The Dispenser controller is integrated in our machine! 30x 8mm Yamaha CL feeder cassettes on East plus 6x 8mm / 12mm / 16mm Yamaha CL feeder cassettes on East totally 36. 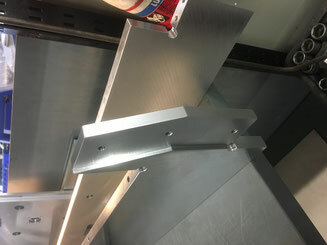 3x small tray feeders possible one in front of the West feeder bank and two between the cameras! 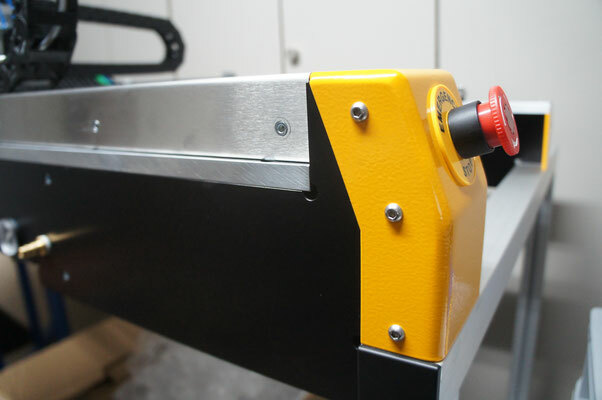 Totally up to 92x 8mm or 86x 8mm and 6x 12/16mm Yamaha CL feeder cassettes on a single machine! 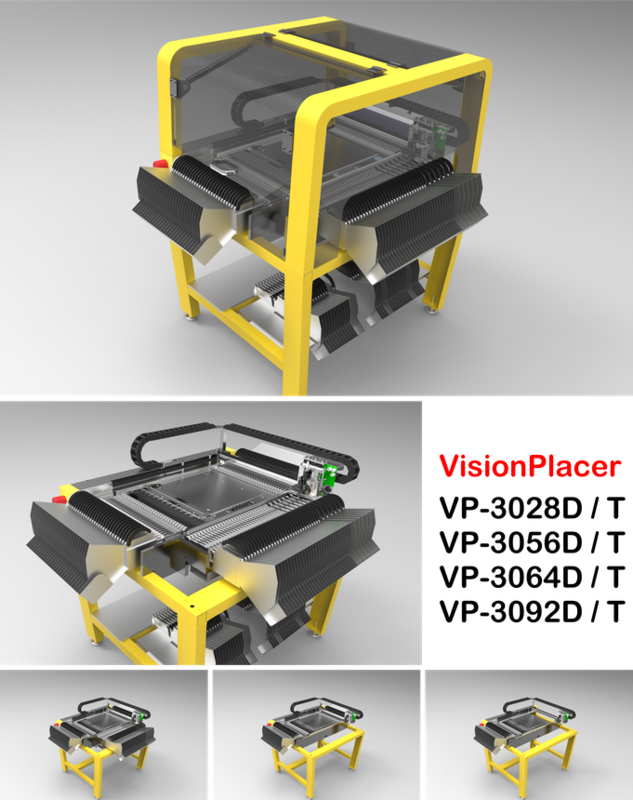 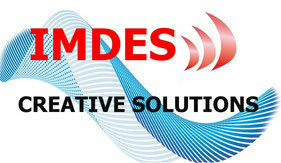 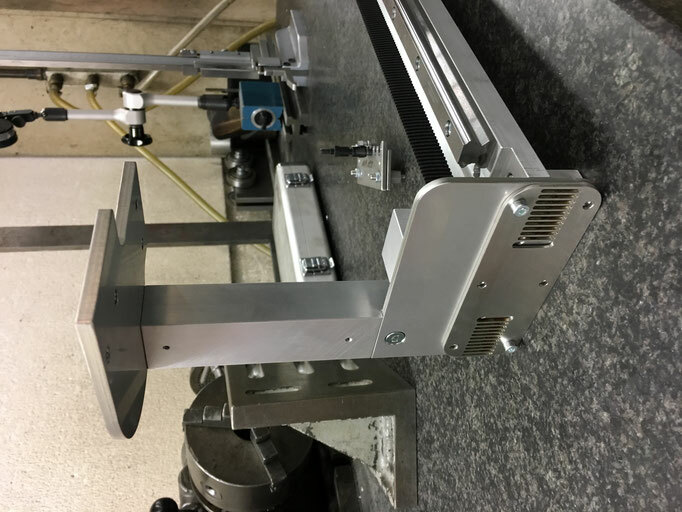 We support standard CL vibration feeder! 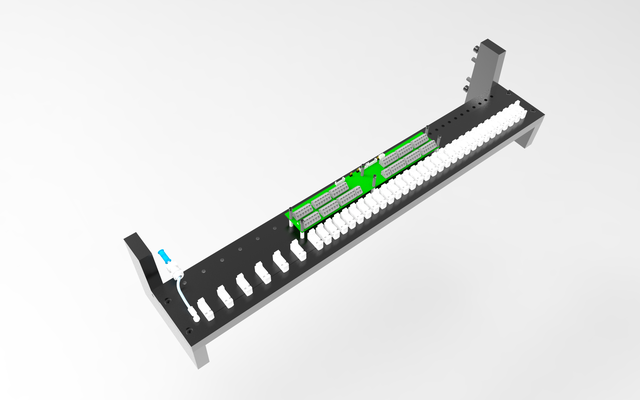 Fast clamp mechanic to fix the PCB inside PCB holder. 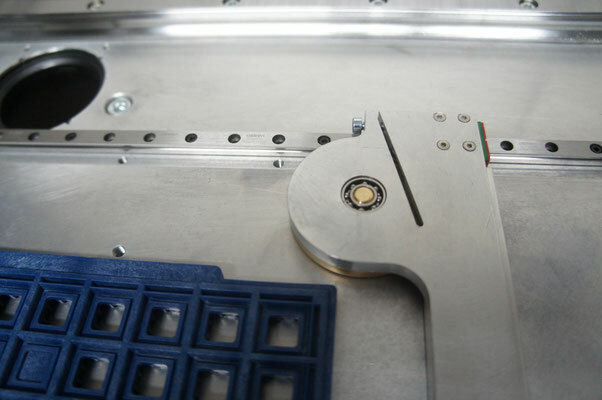 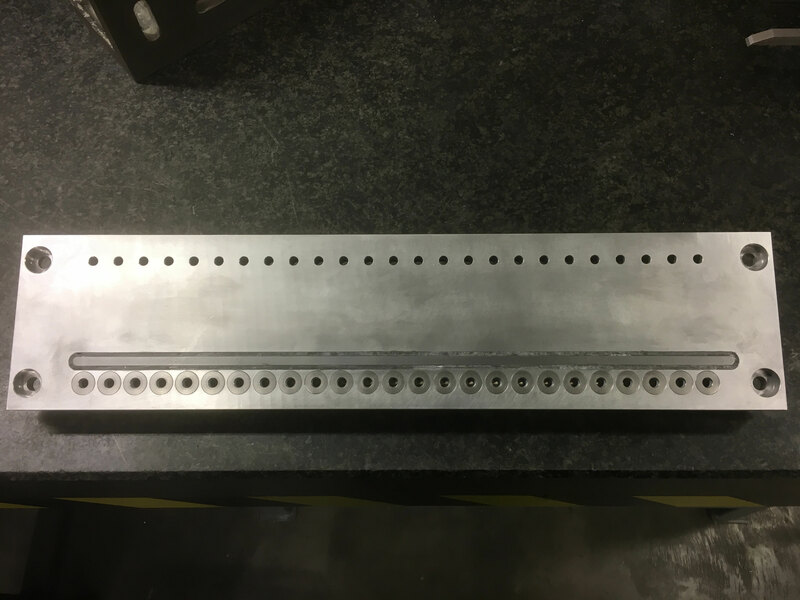 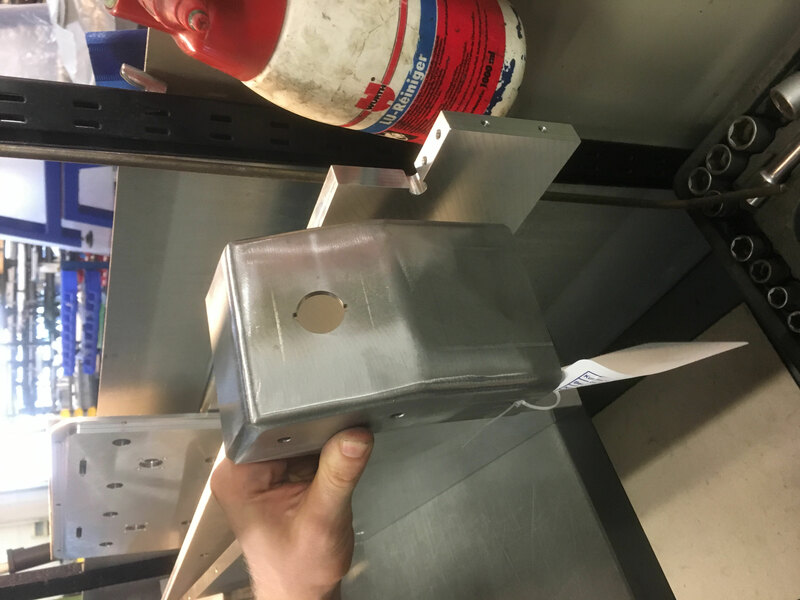 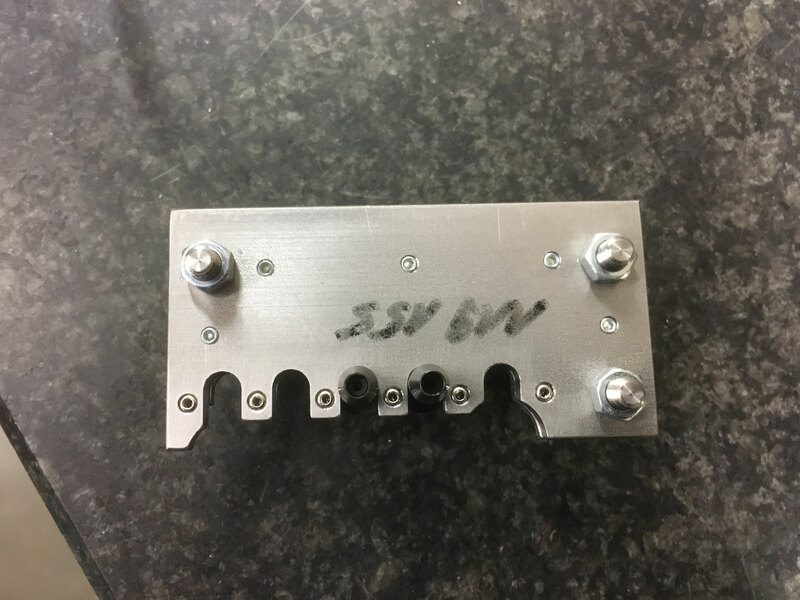 Mounting holes to fix tray holders or custom PCB holders. 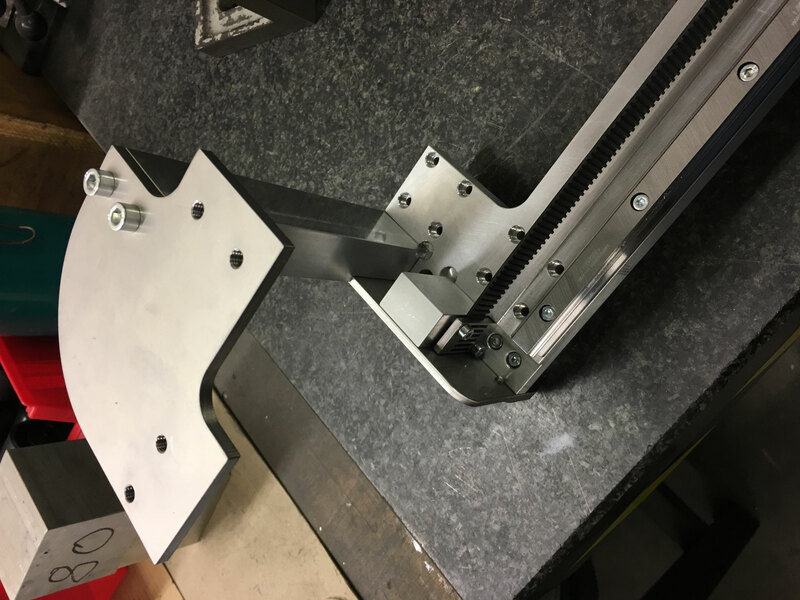 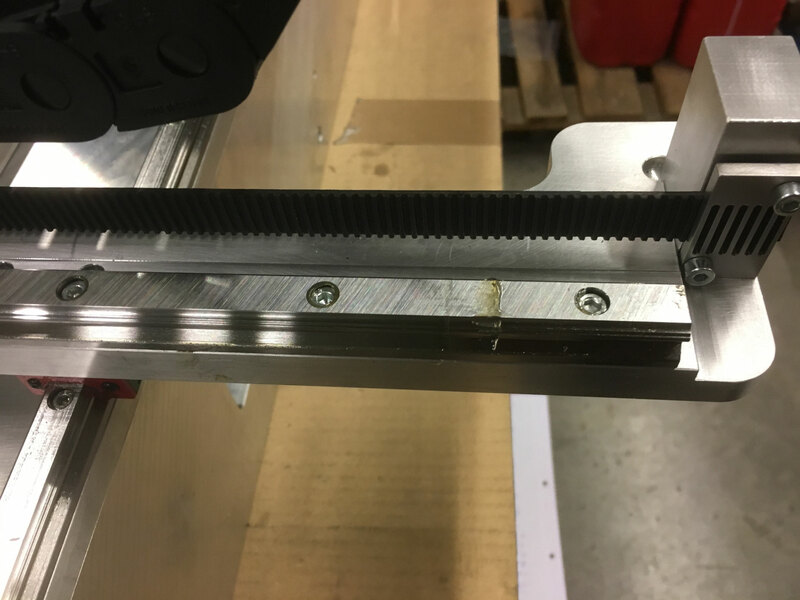 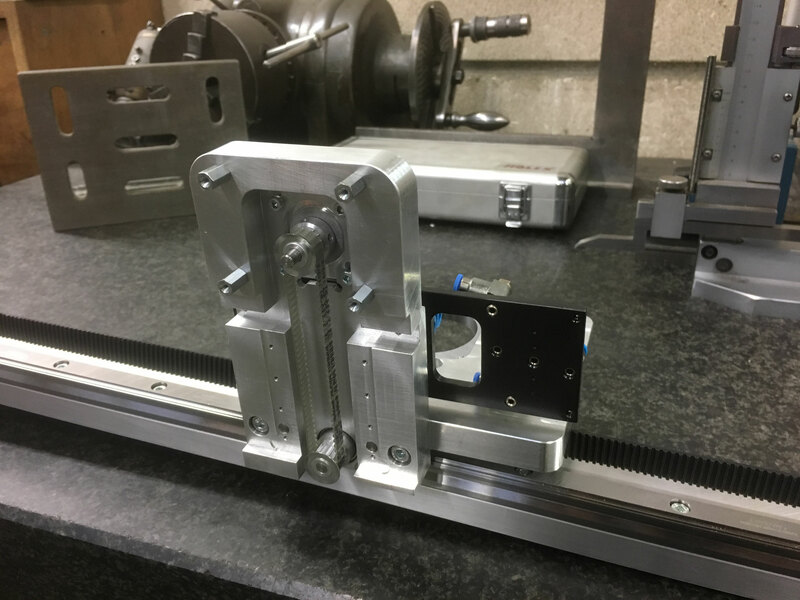 Belt driven X / Y axis. 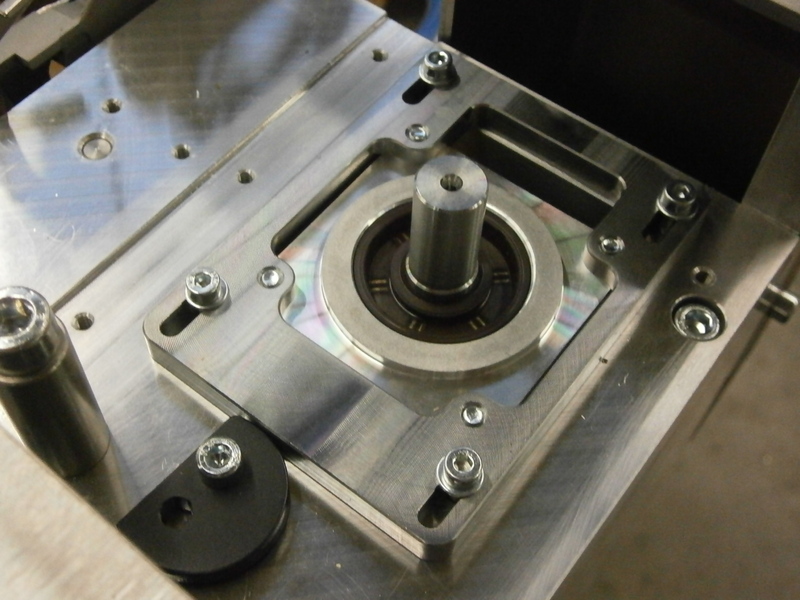 Spindle drive for all Z axis. 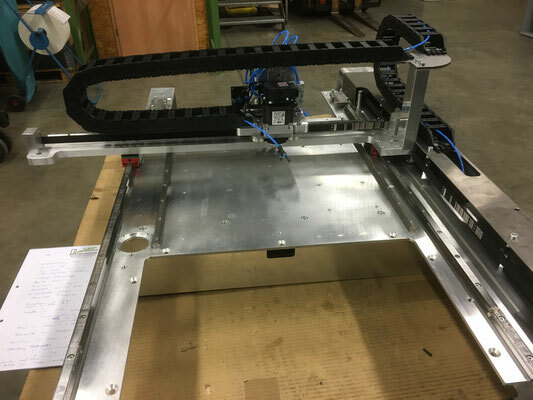 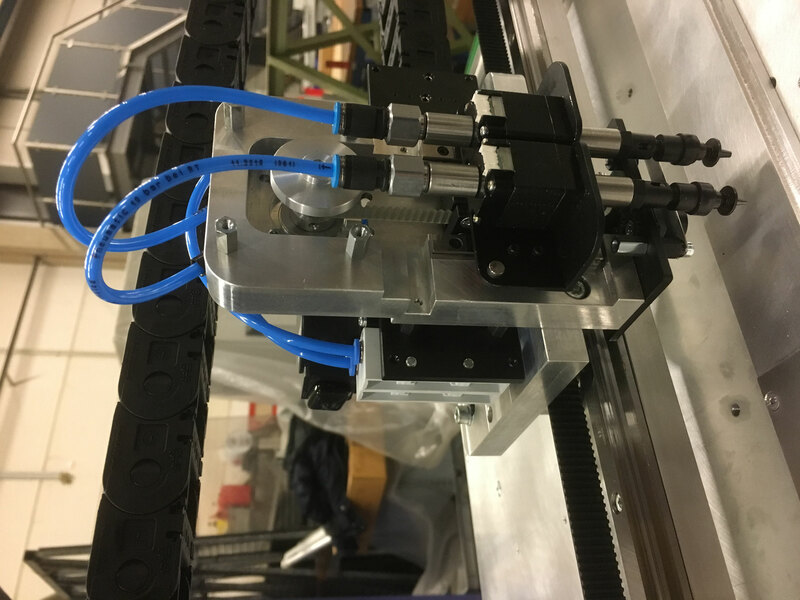 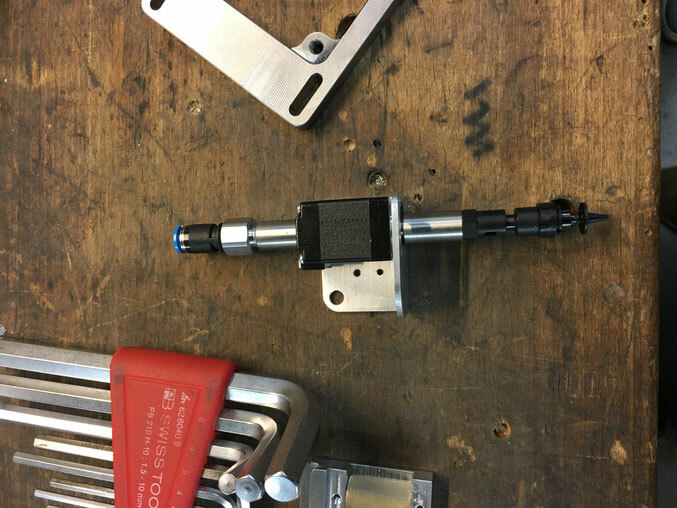 Closed loop positioning using linear scale encoder system on X and Y axis. 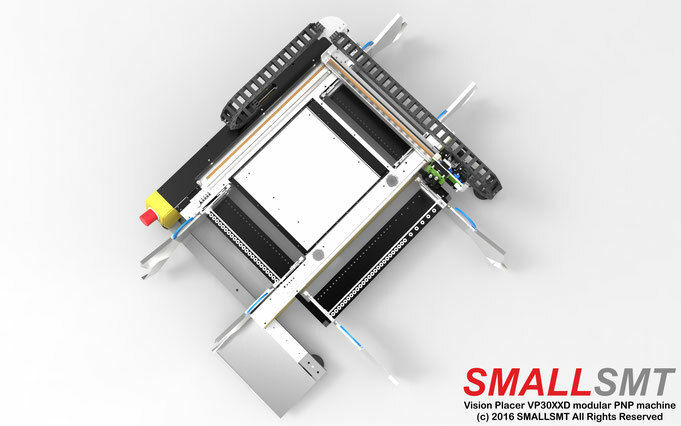 Stepper motors standard on X and Y axis (PRO) but servo (PREMIUM) motors upgradeable! 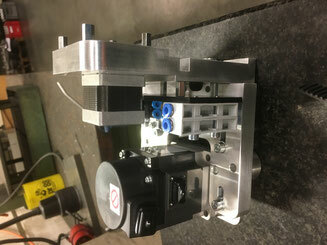 We use MELSERVO Mitsubishi Japan servo motors. Depend on different part count and part distances! 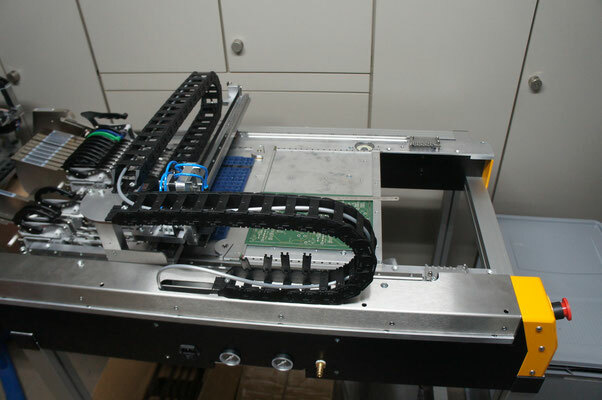 - Integrated high performance PC running Linux and supporting for up to 5 cameras. 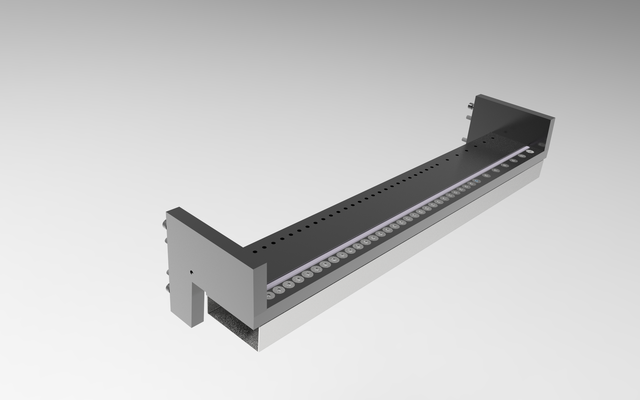 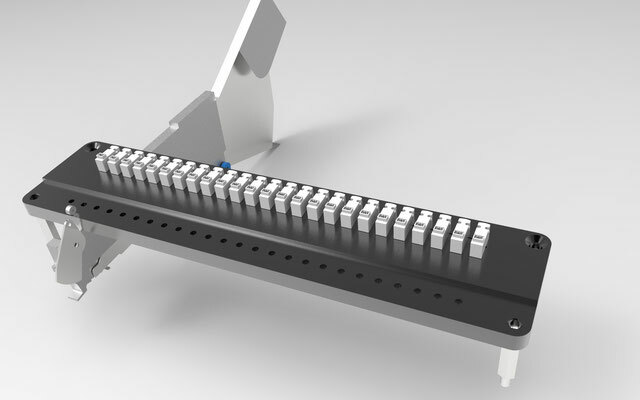 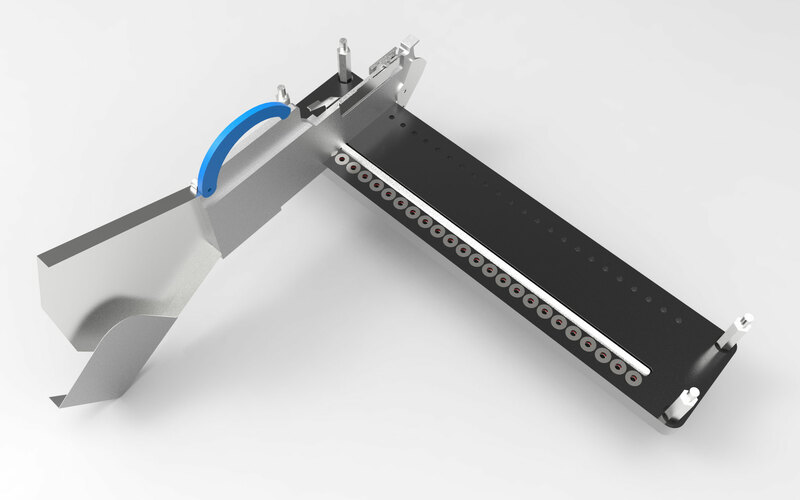 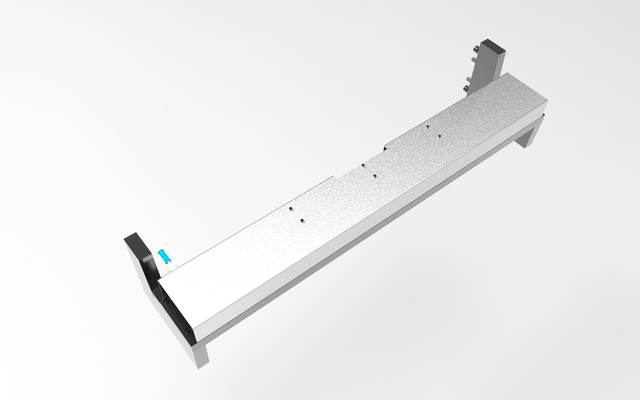 EAST Feeder has 6 wider slots spacing to take 12 and 16mm tapes without losing a slot! 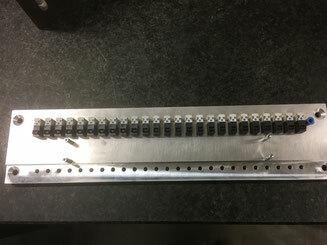 Triple head system and 28 Feeder lines on North ans South, 30x8mm + 6x 16mm on East side. Totally 92 Yamaha CL feeder slots showing optional stand. 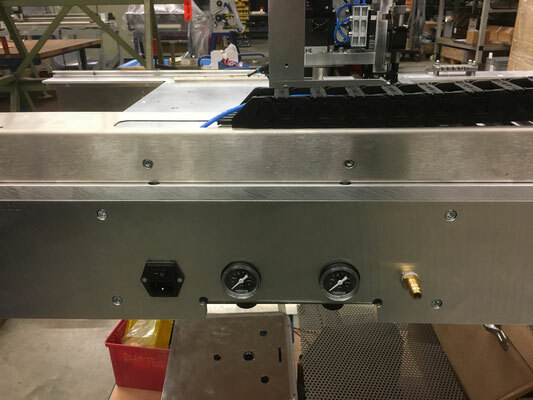 We are currently upgrading the head to use a a third head for dispenser use. 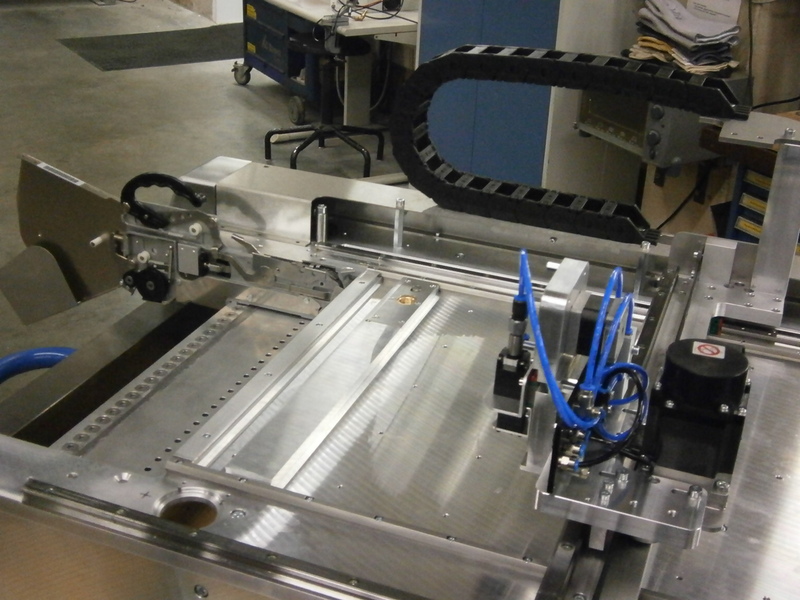 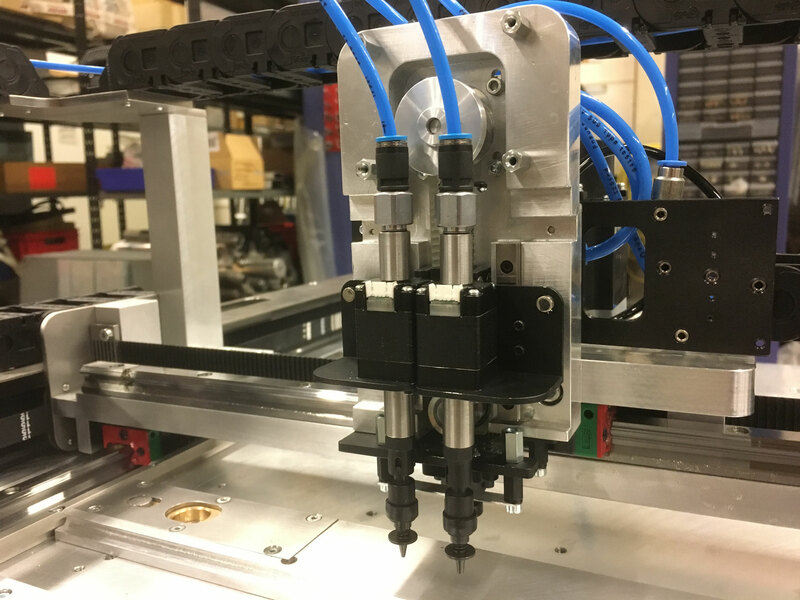 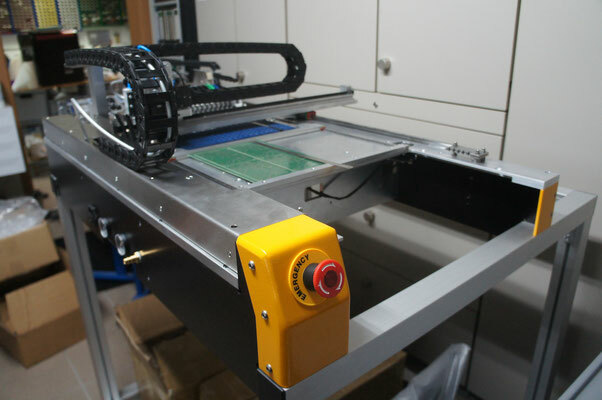 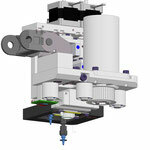 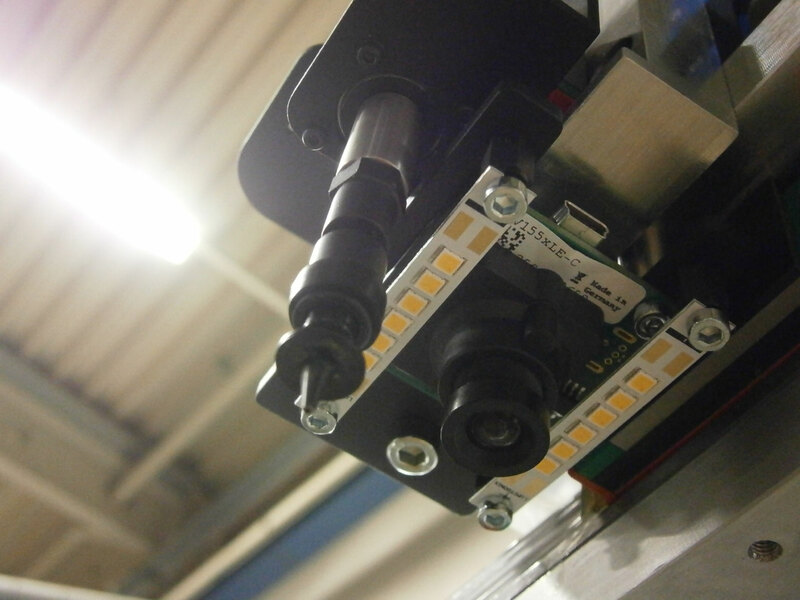 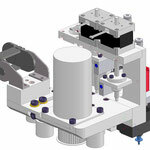 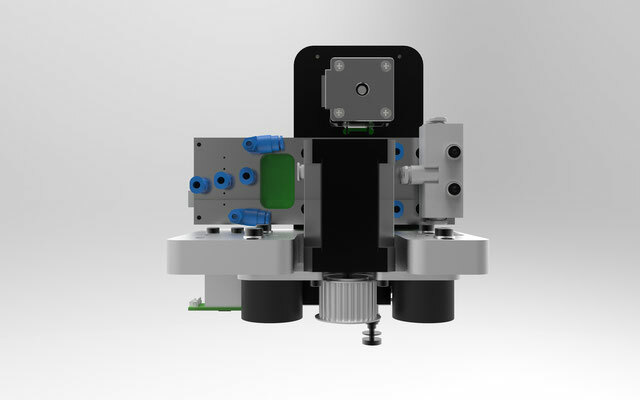 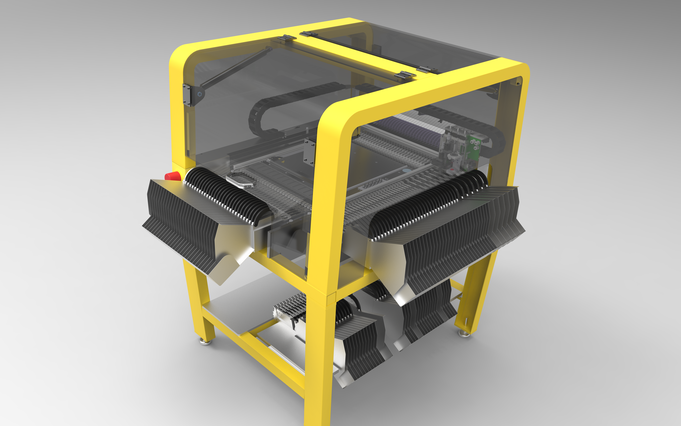 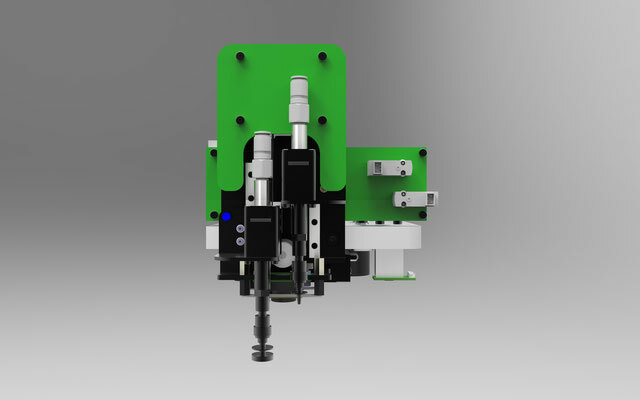 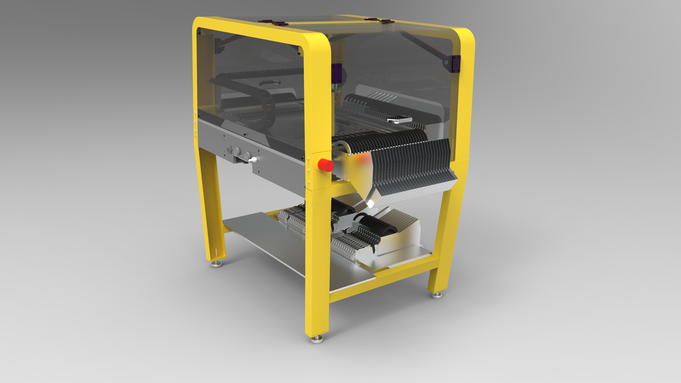 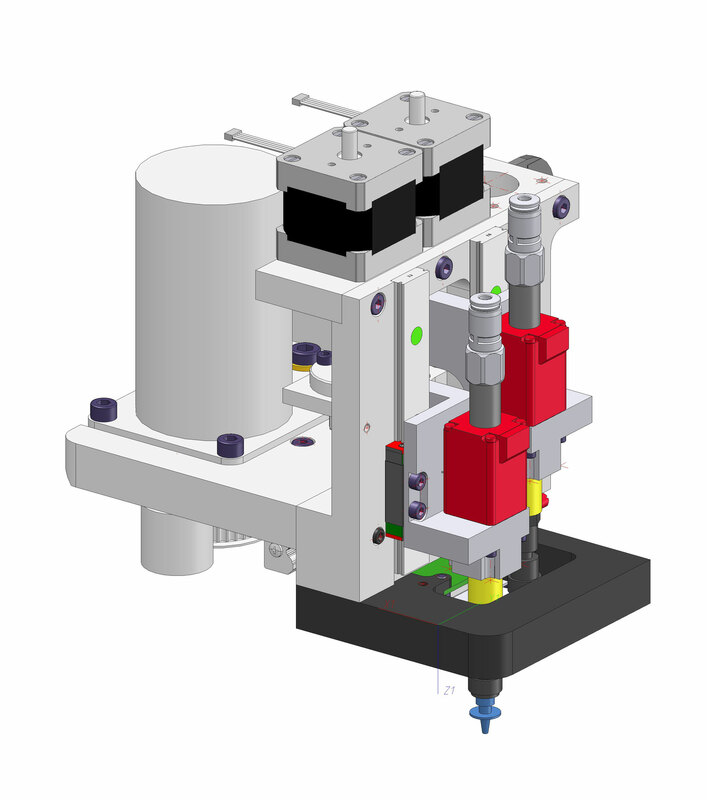 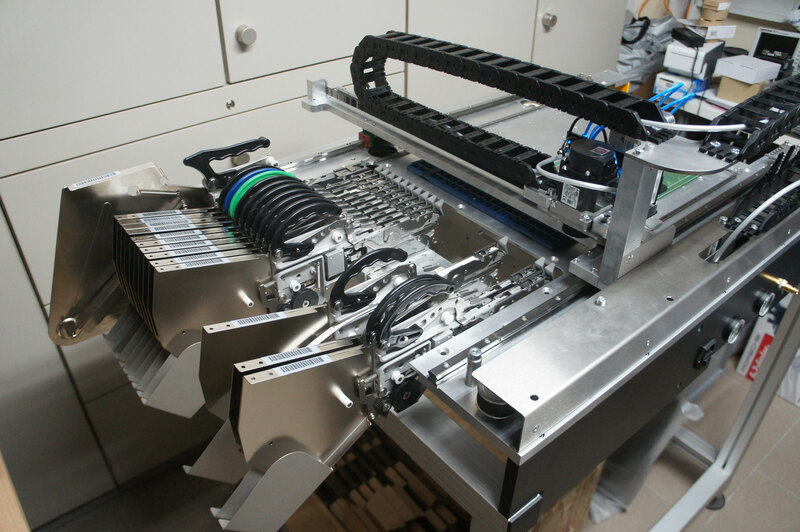 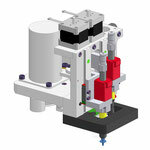 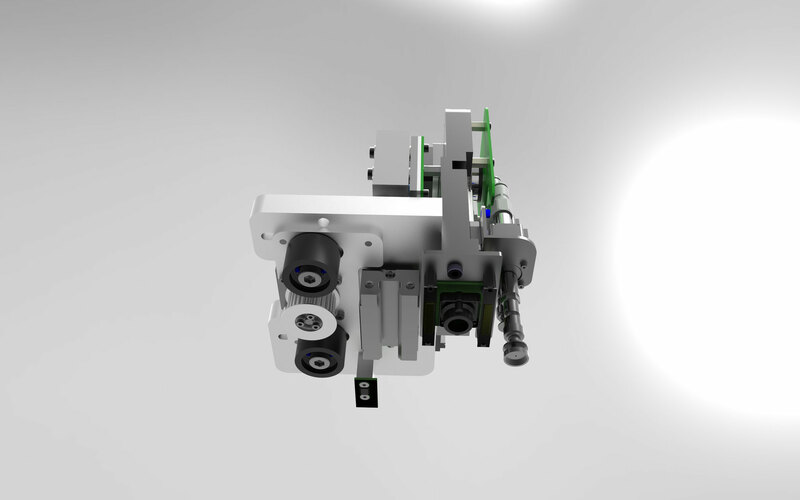 The Musashi Dispenser system can be combined to apply glue or paste to your PCB. 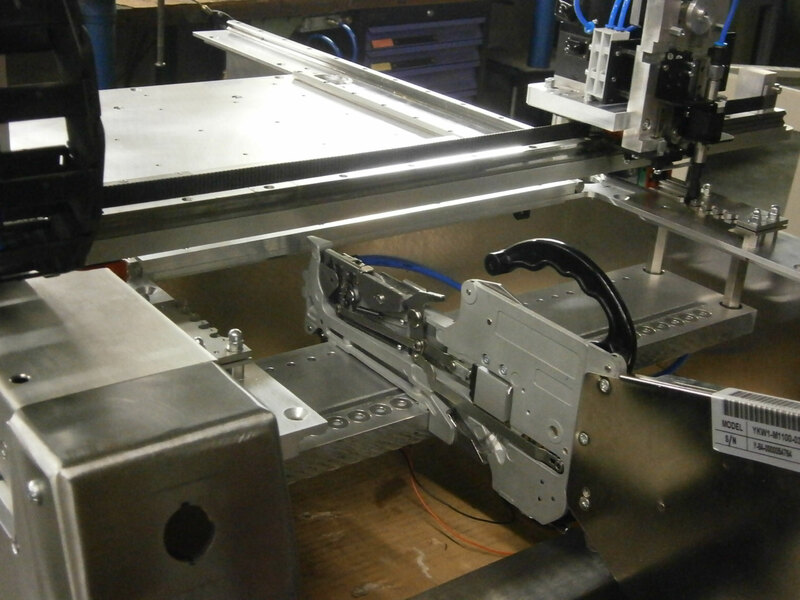 All heads now can be moved individually that means we can move heads up if high parts need to be placed to avoid collisions. 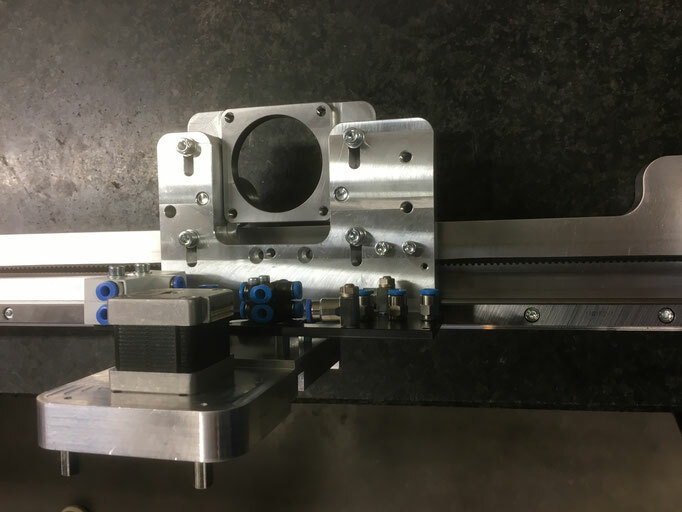 The total Z axis travel way is now 30mm! 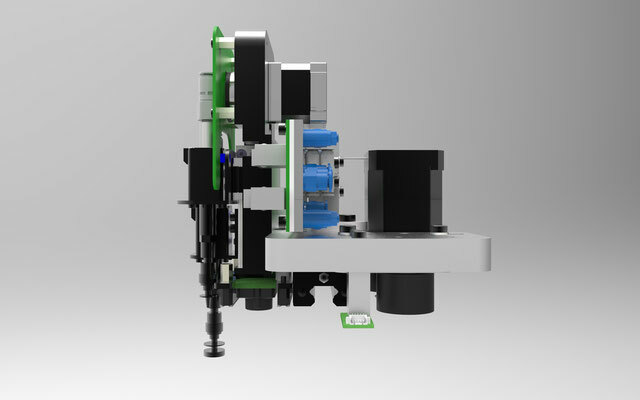 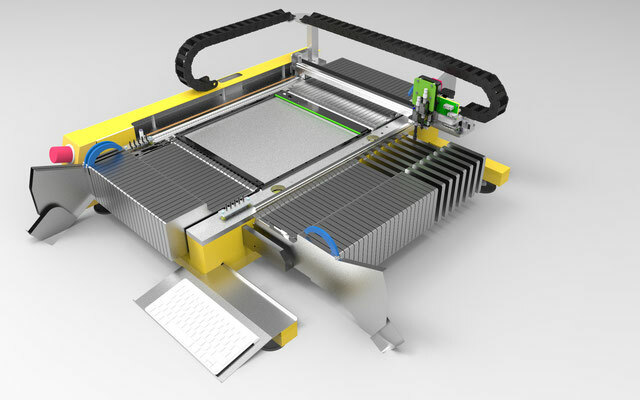 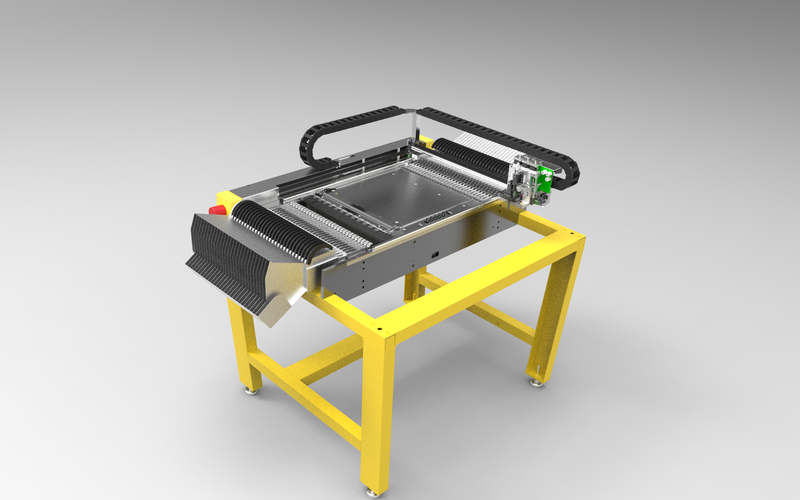 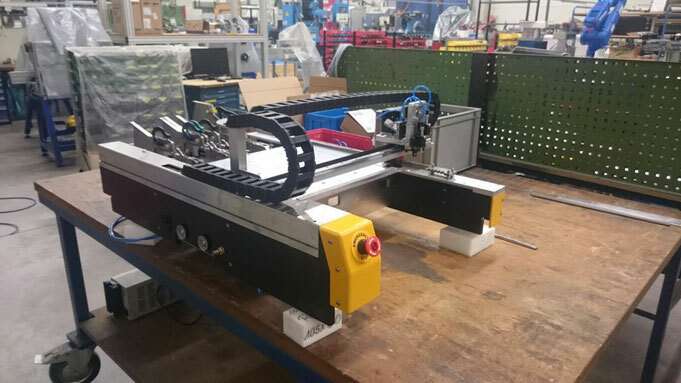 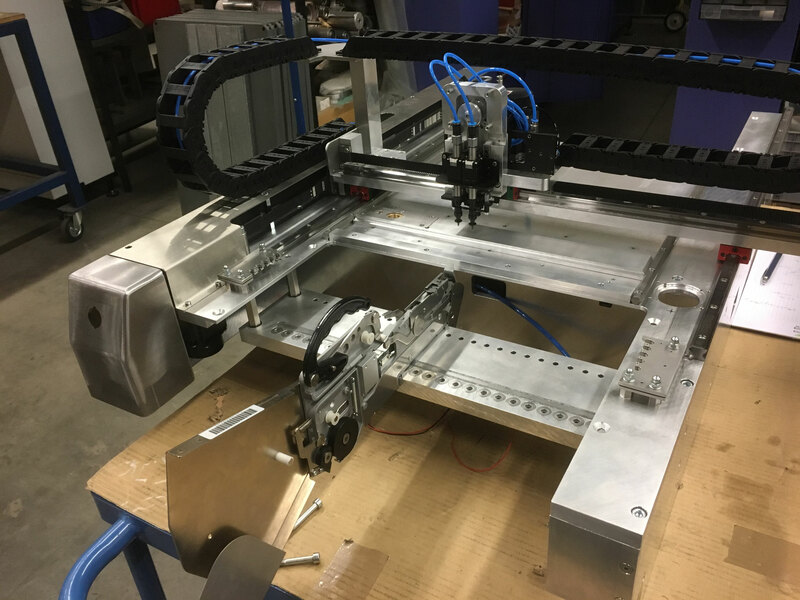 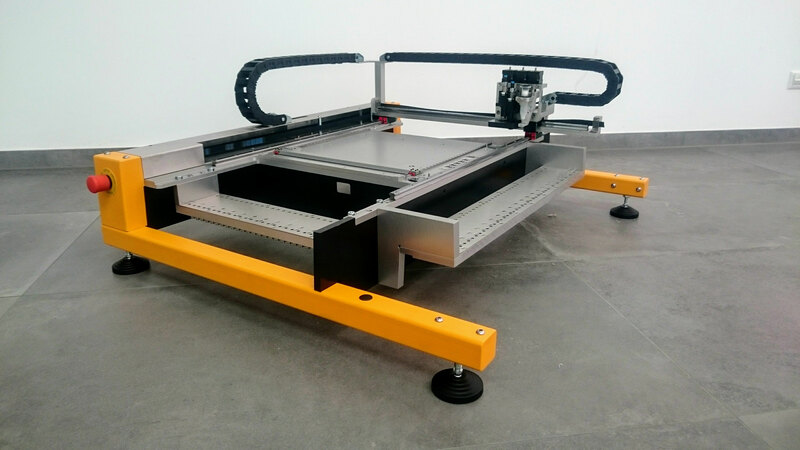 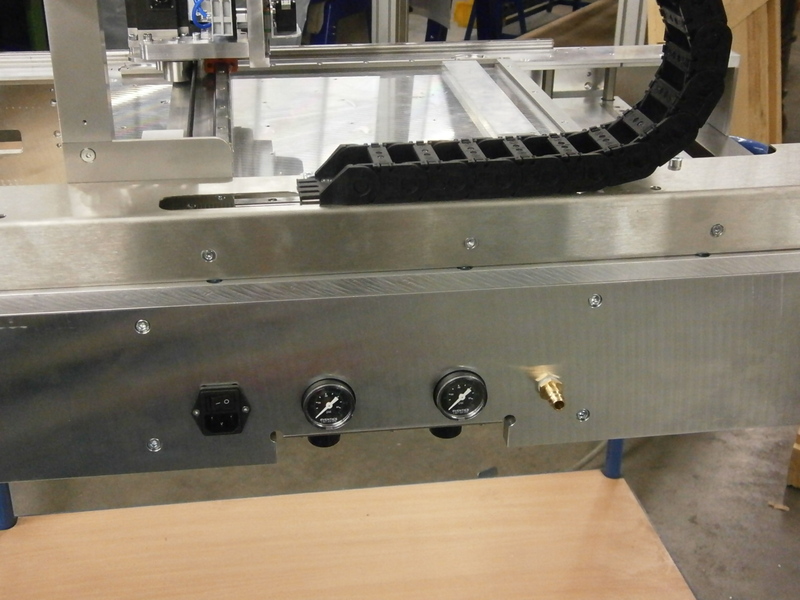 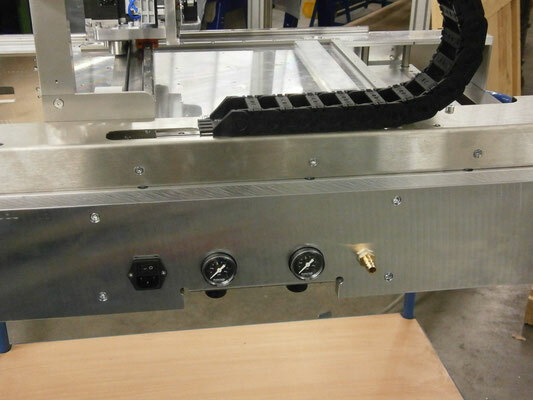 Integrated tube less feeder cart including Festo valves and electronics. 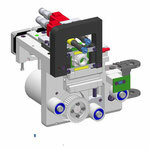 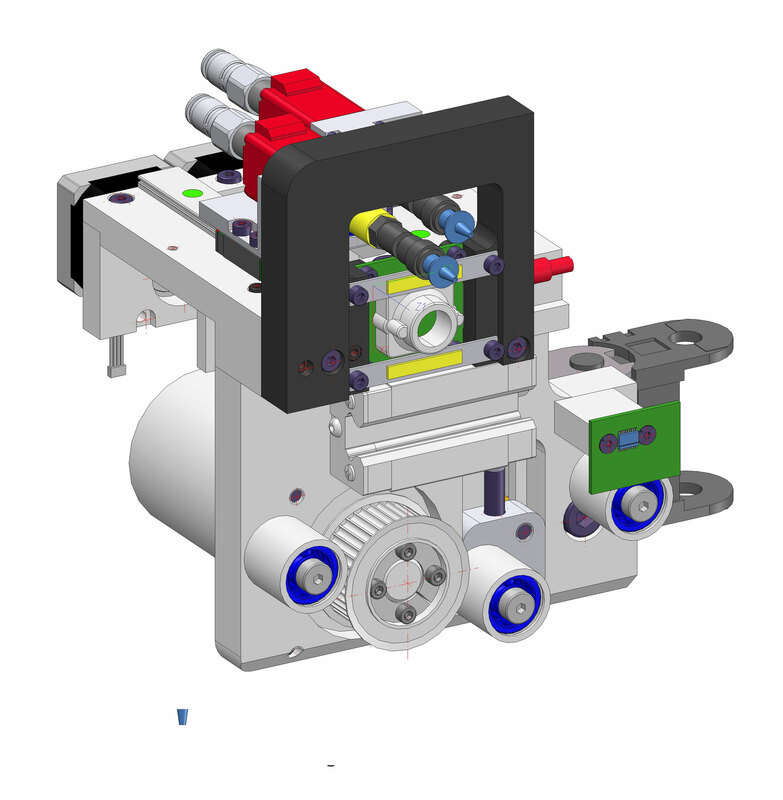 Up to 10 nozzles can be used in one placement job because of 2x 5 slot nozzle changer carts in our system. 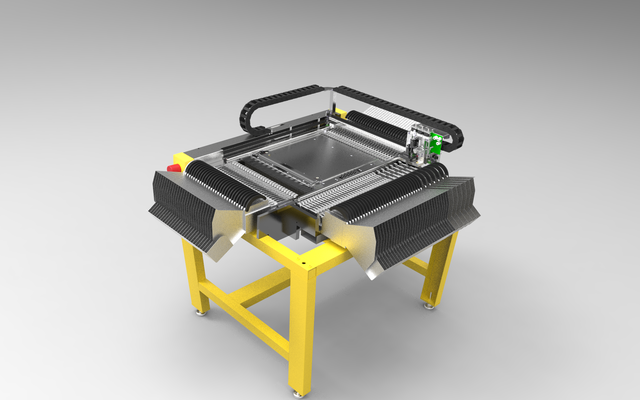 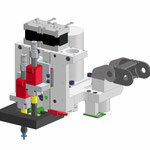 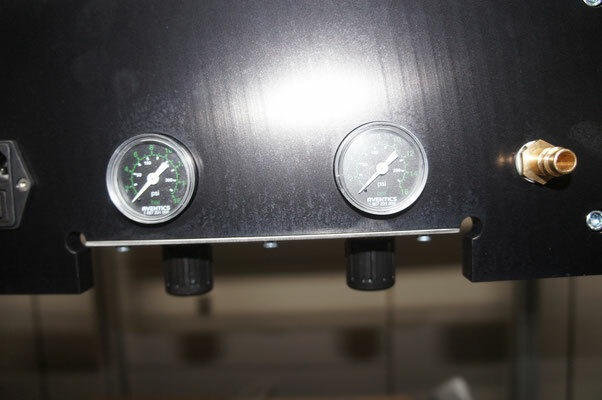 Our pick and place head includes complete vacuum system and embedded control. 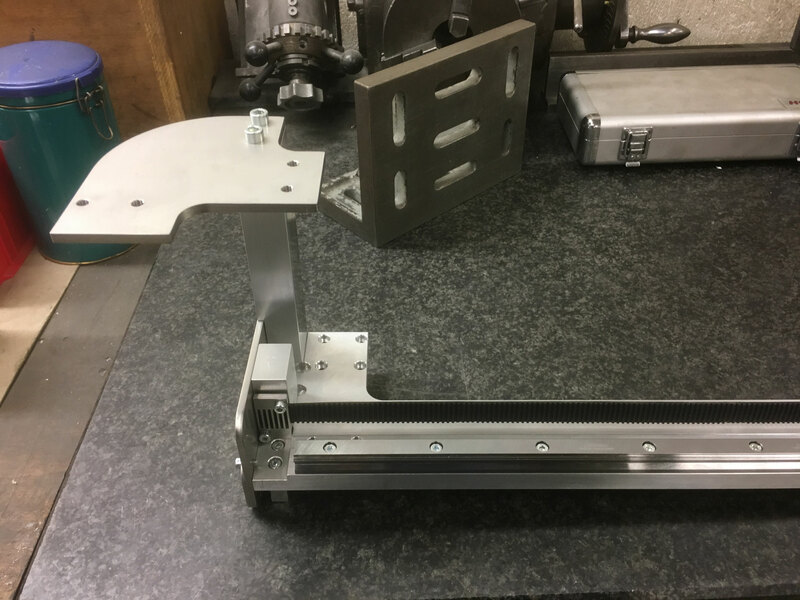 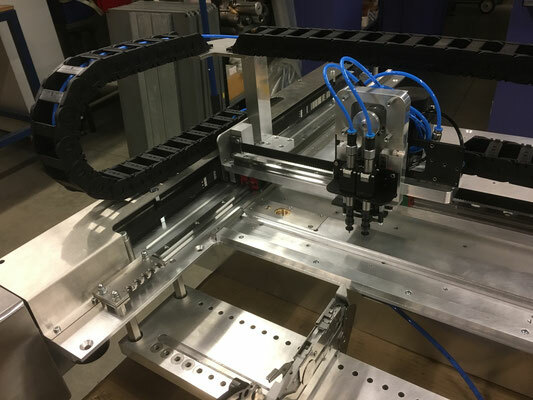 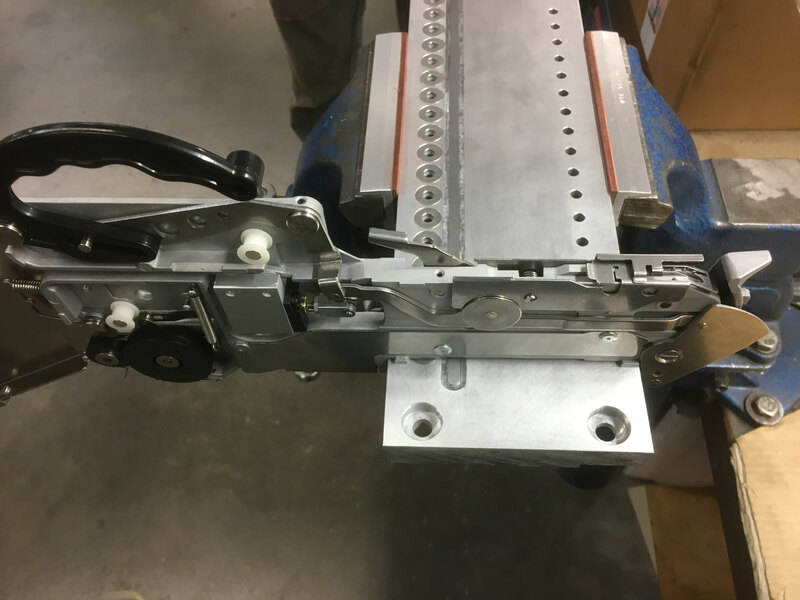 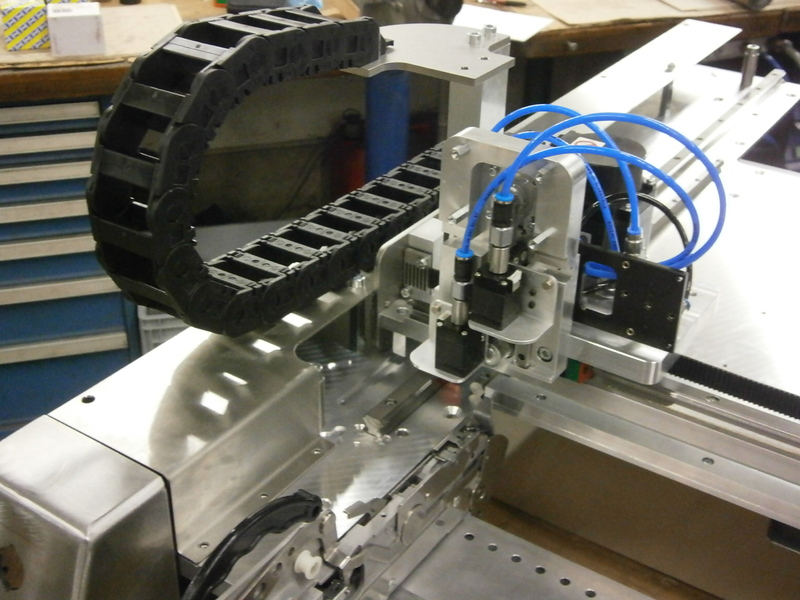 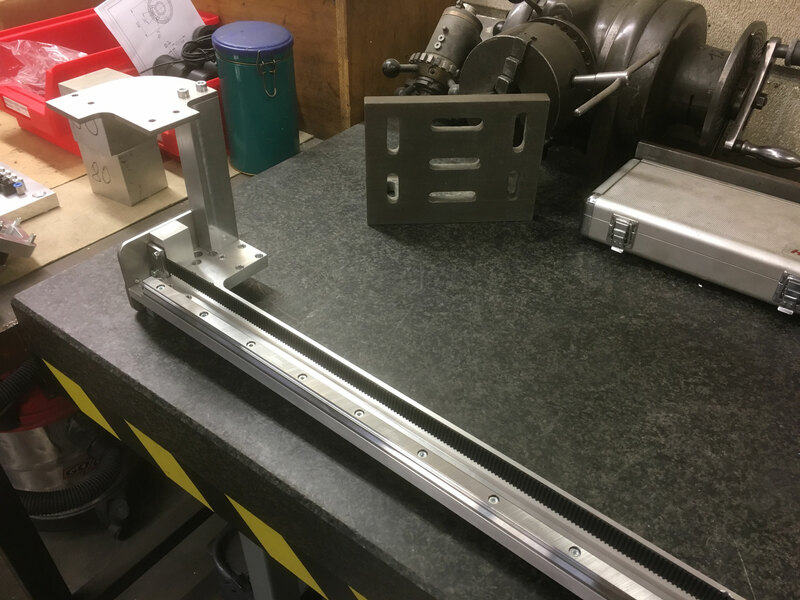 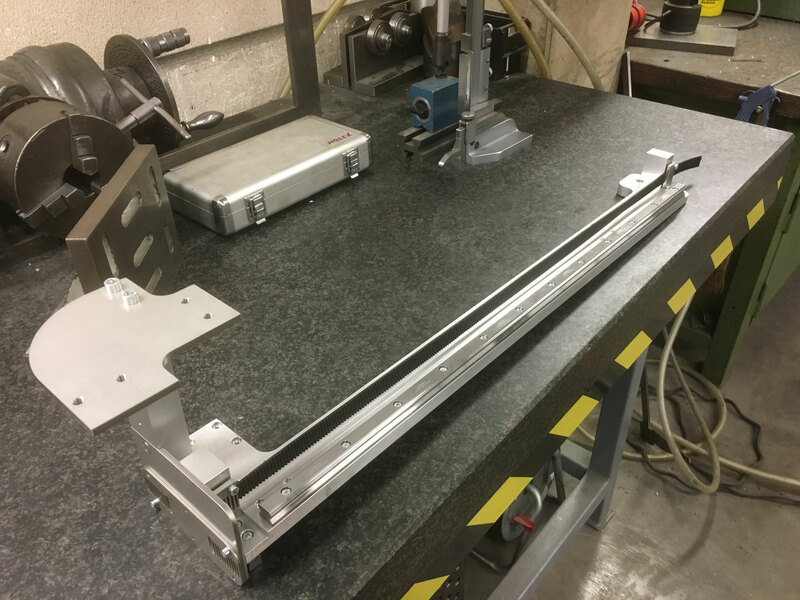 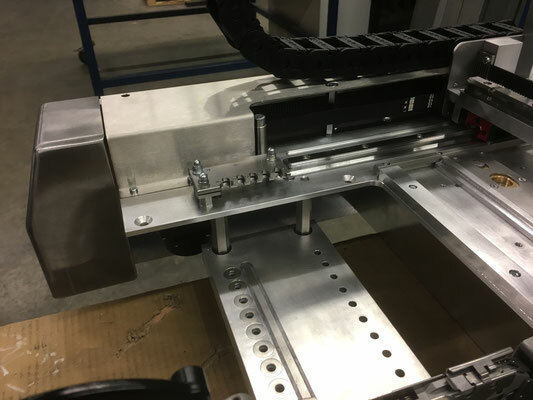 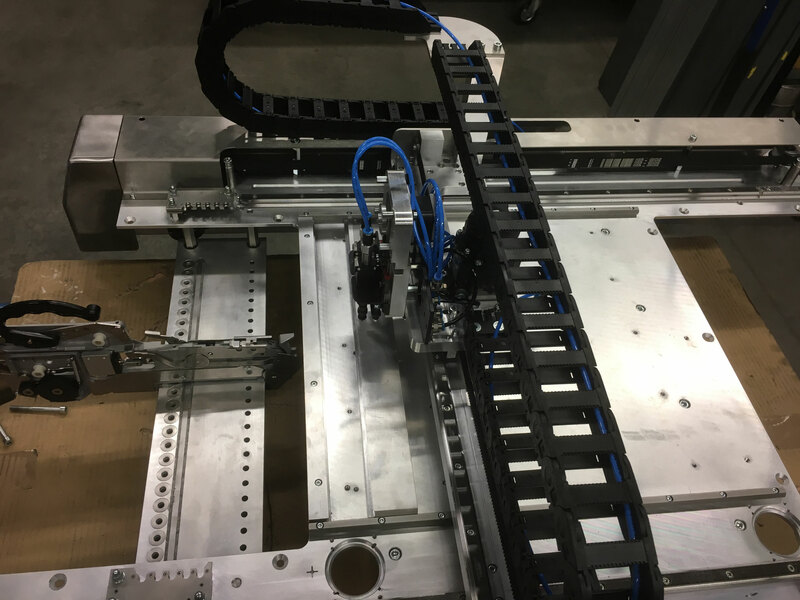 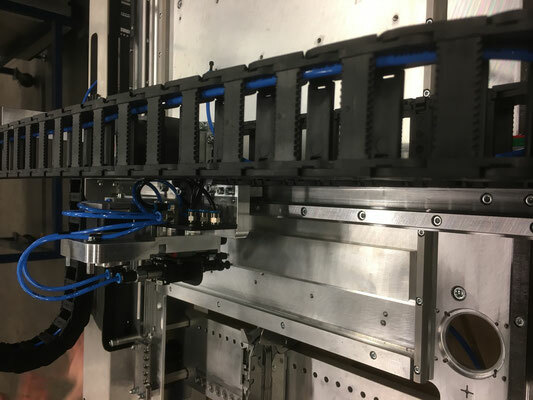 Mono rail belt system including integrated belt tensioner system below the head assembly. 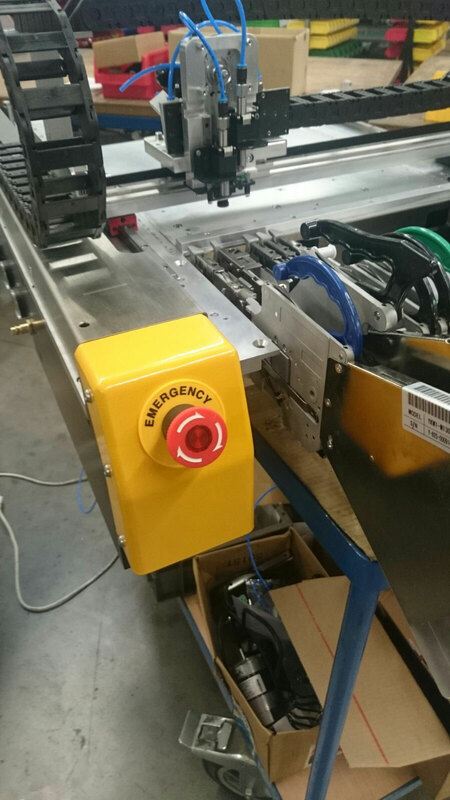 Left side of machine including the safety switch off.